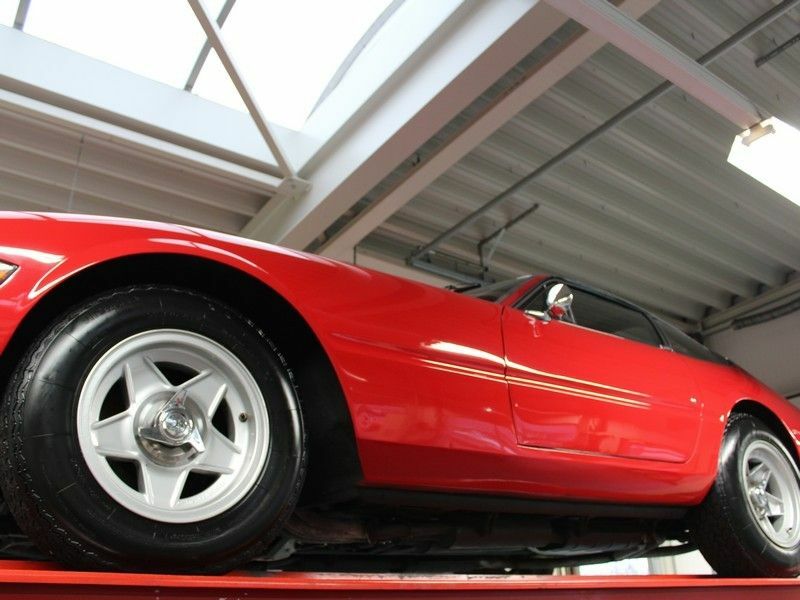 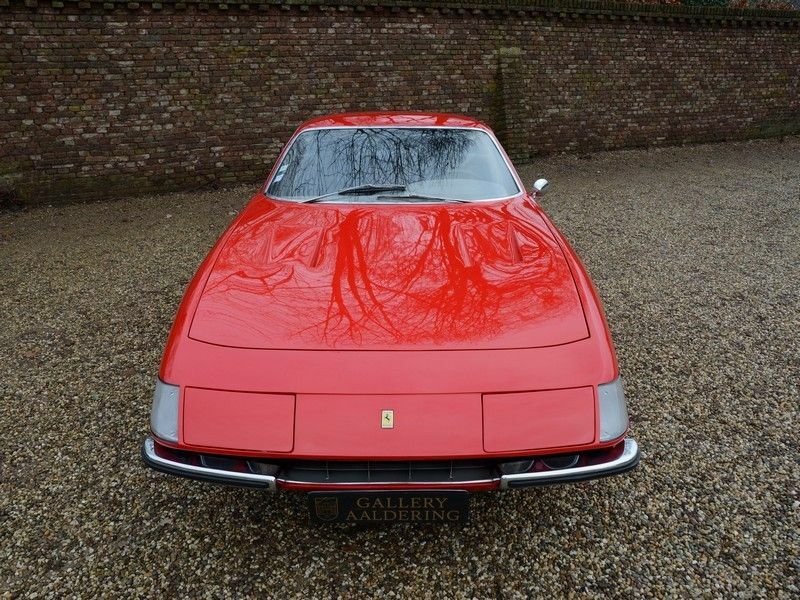 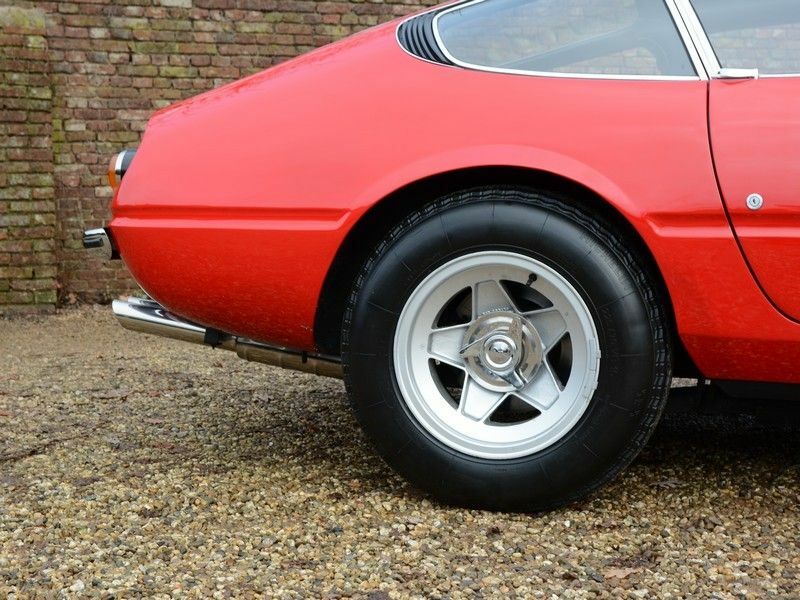 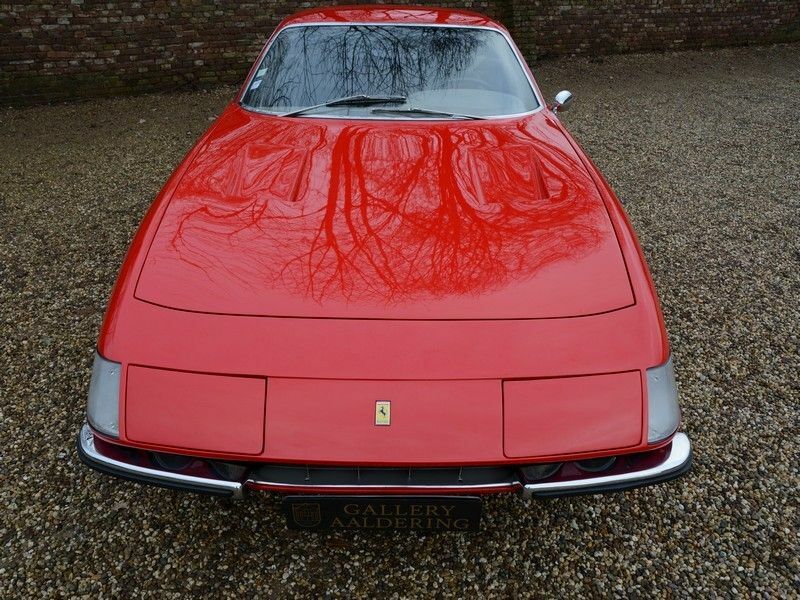 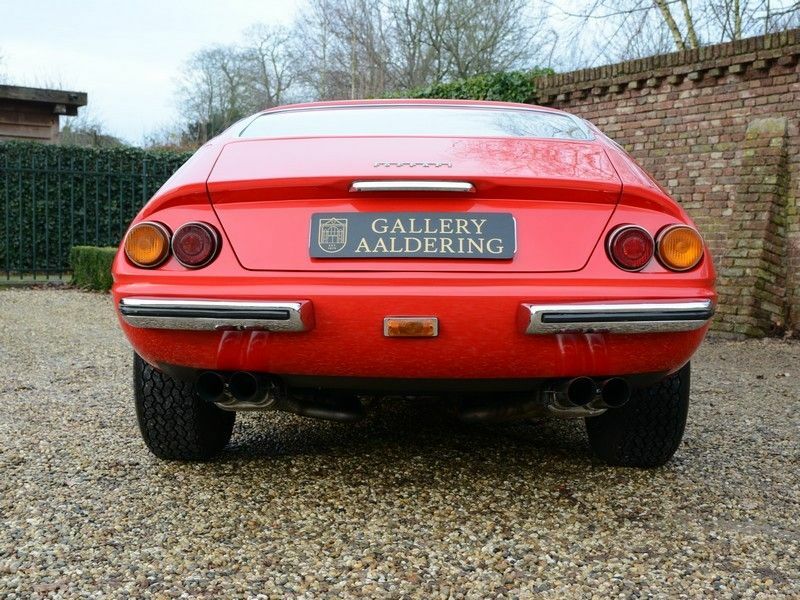 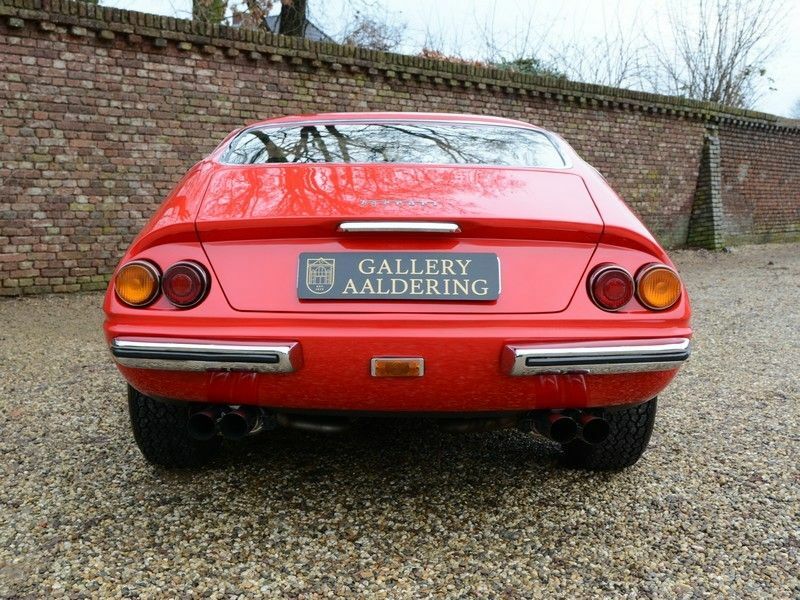 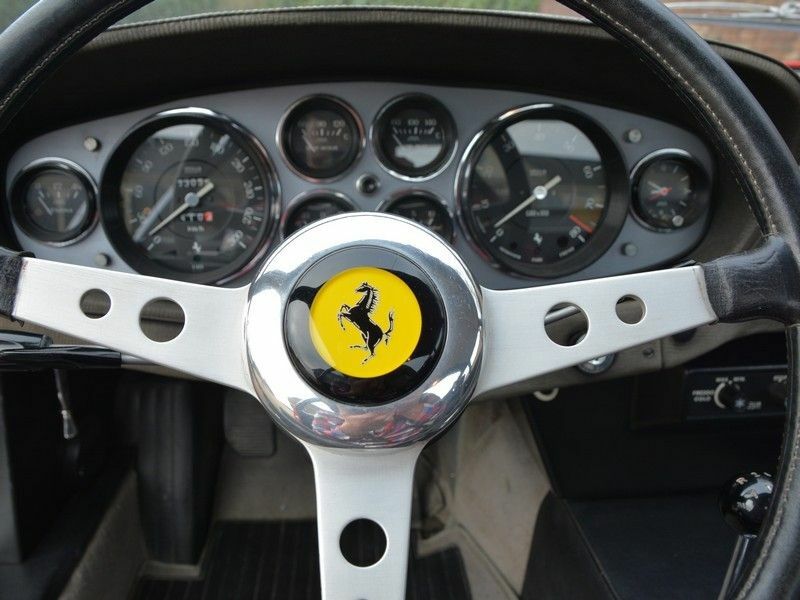 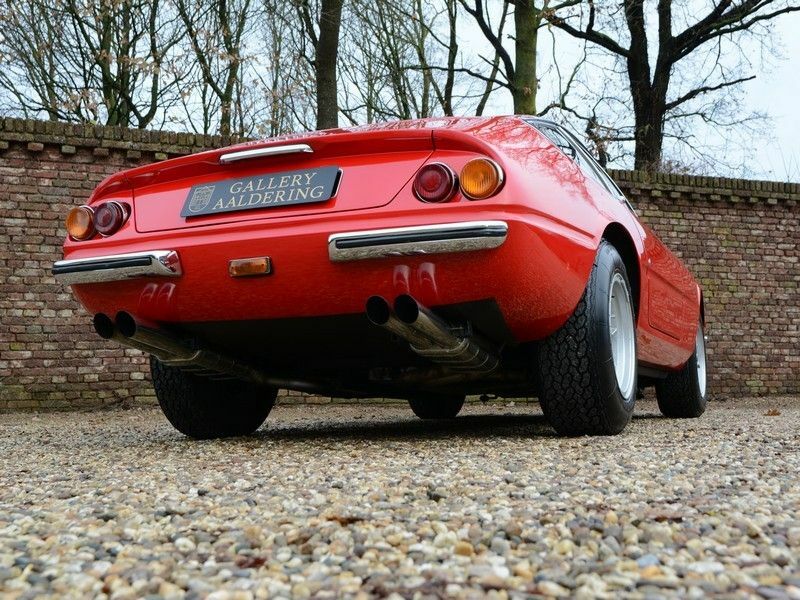 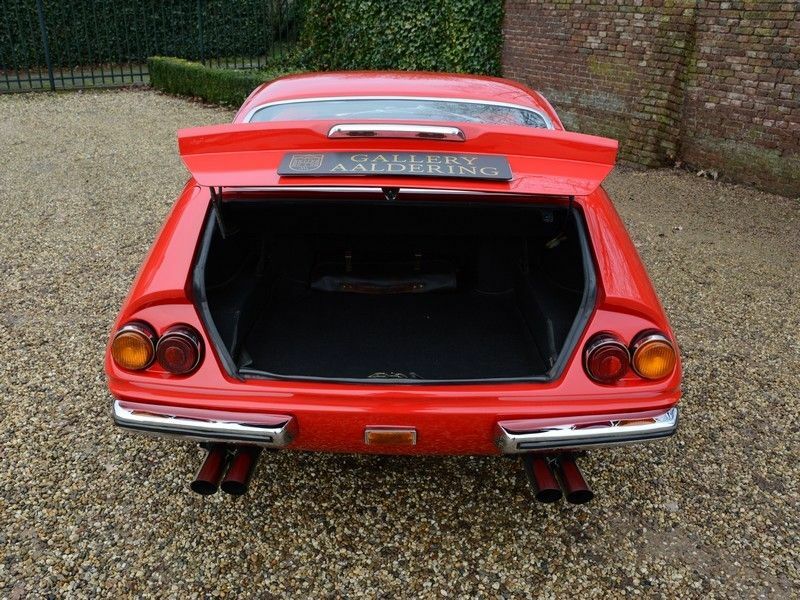 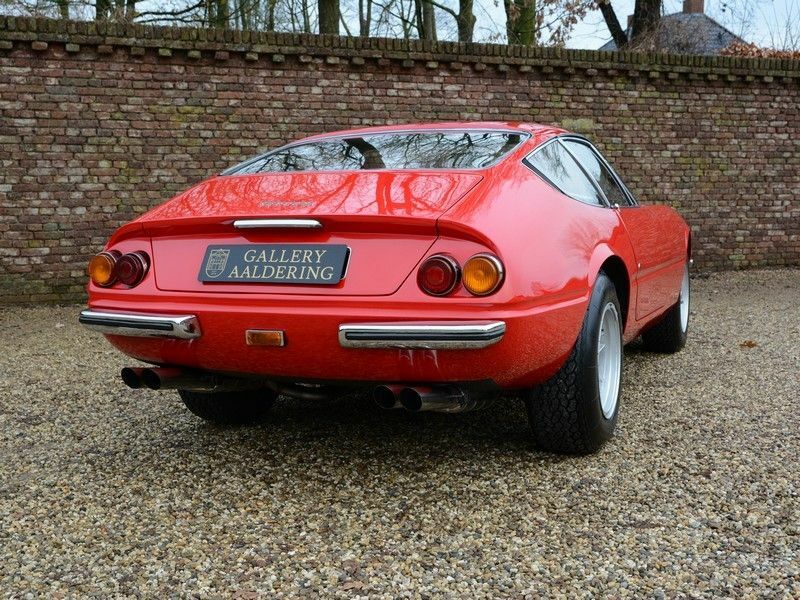 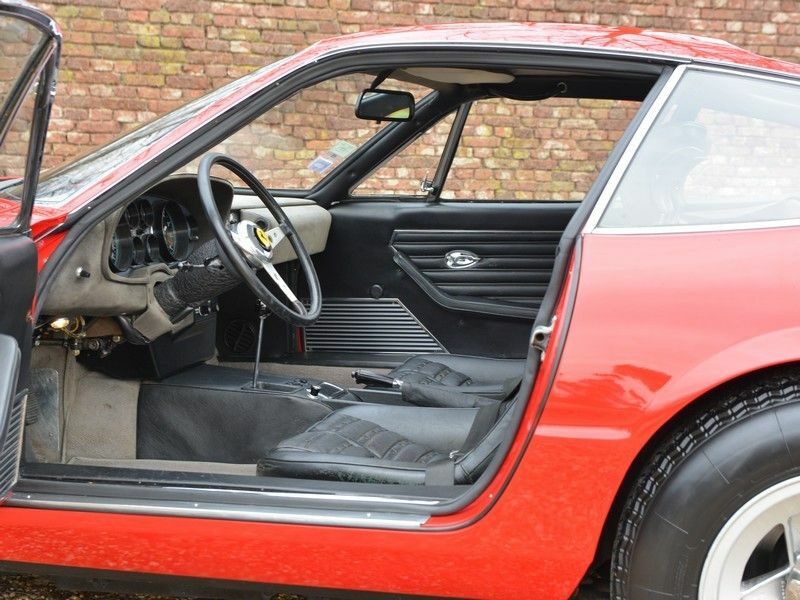 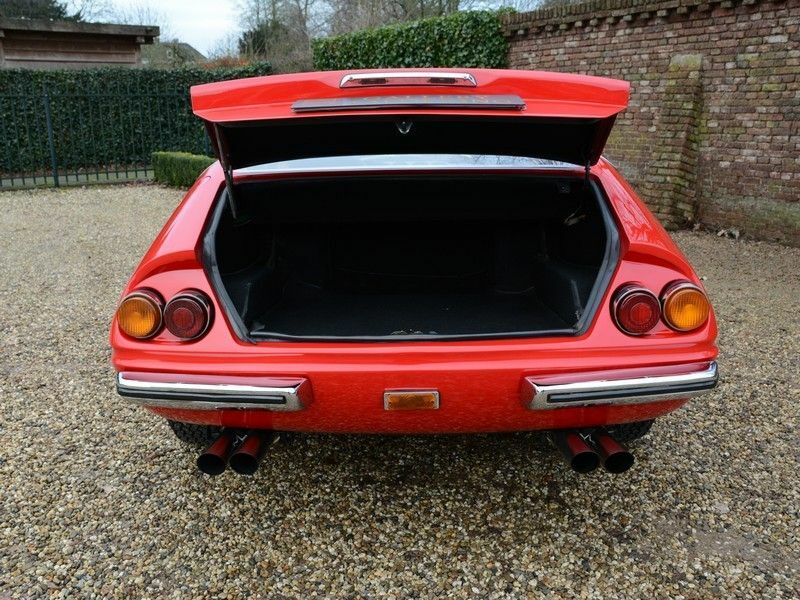 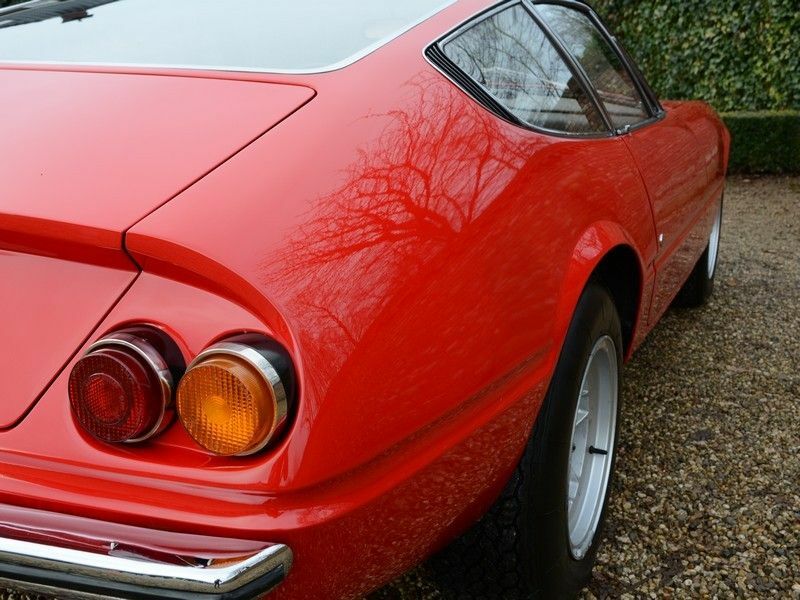 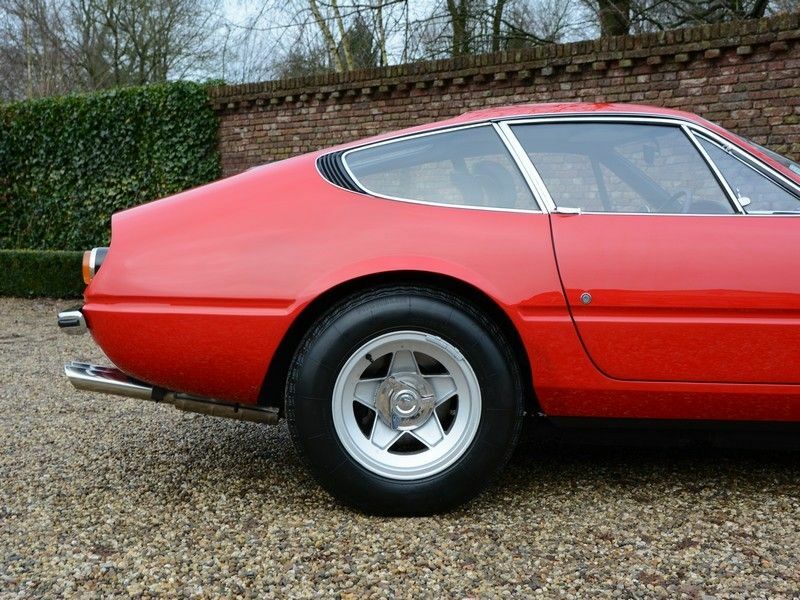 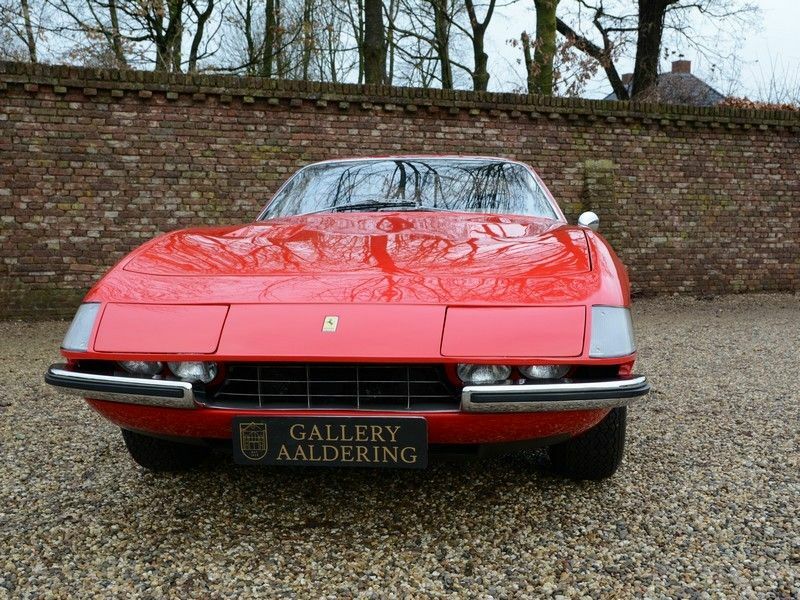 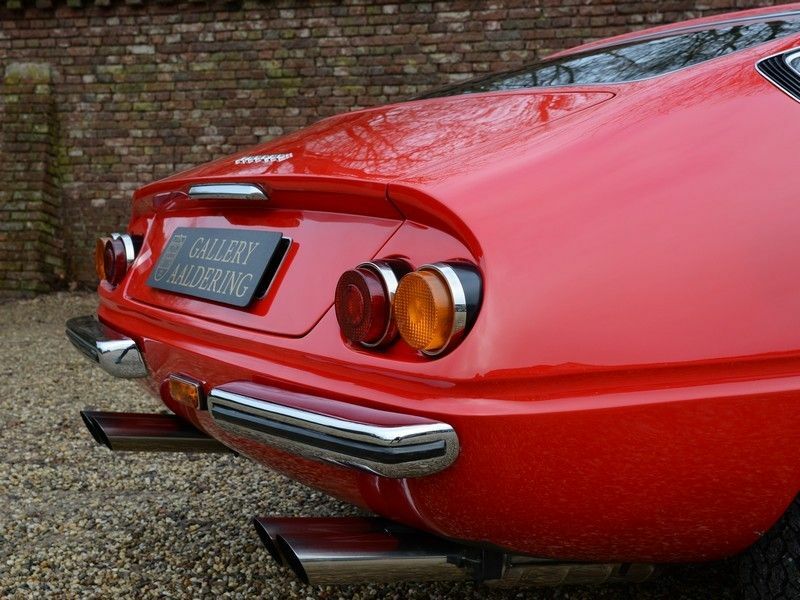 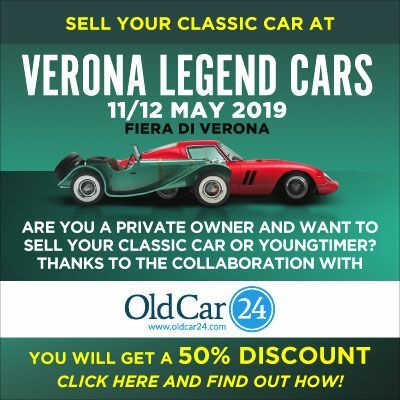 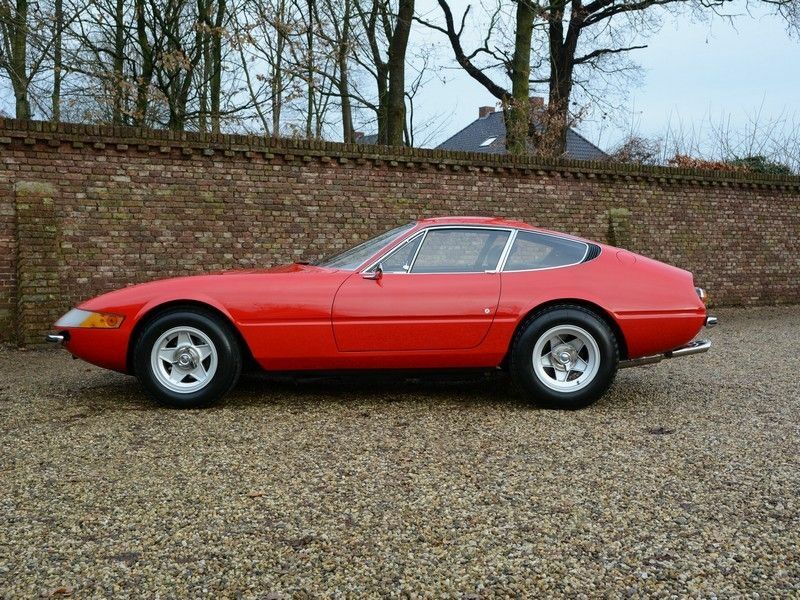 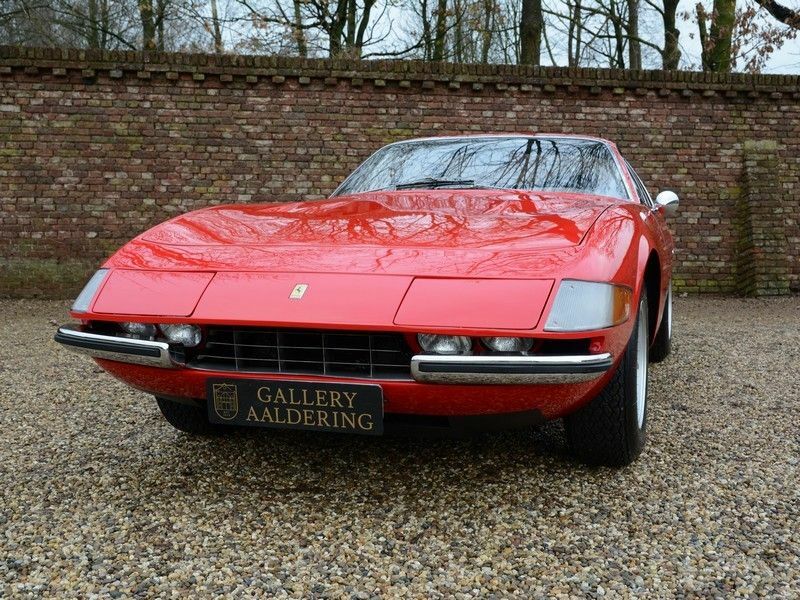 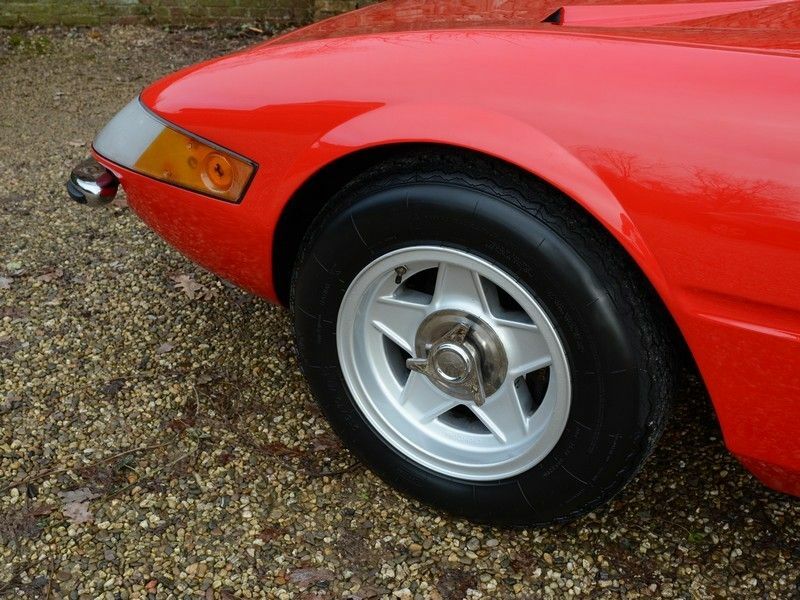 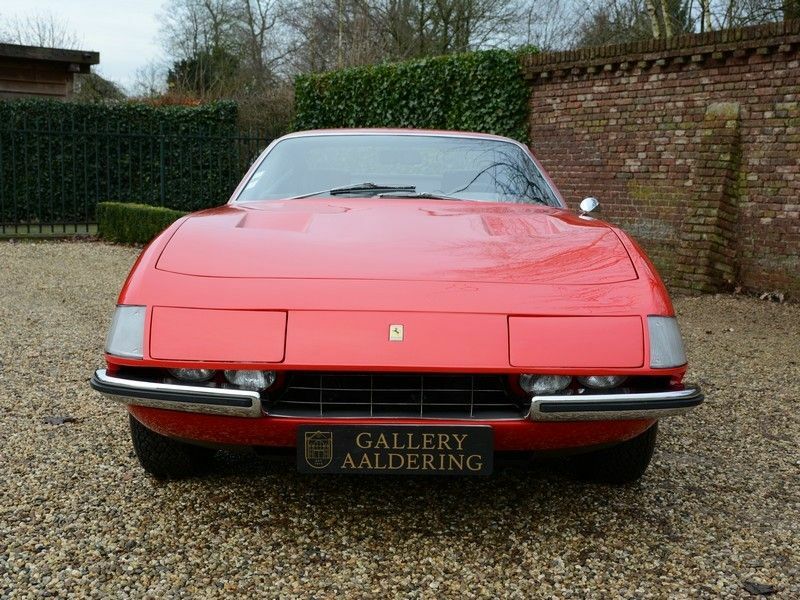 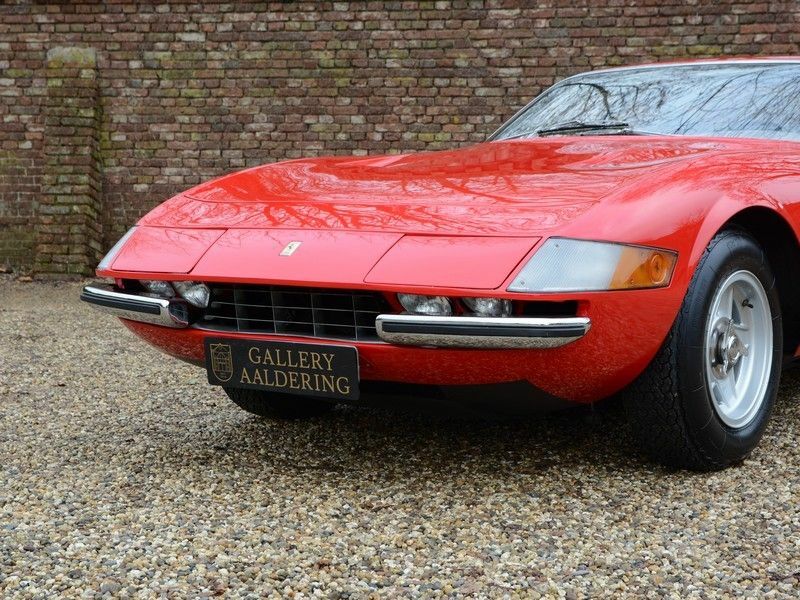 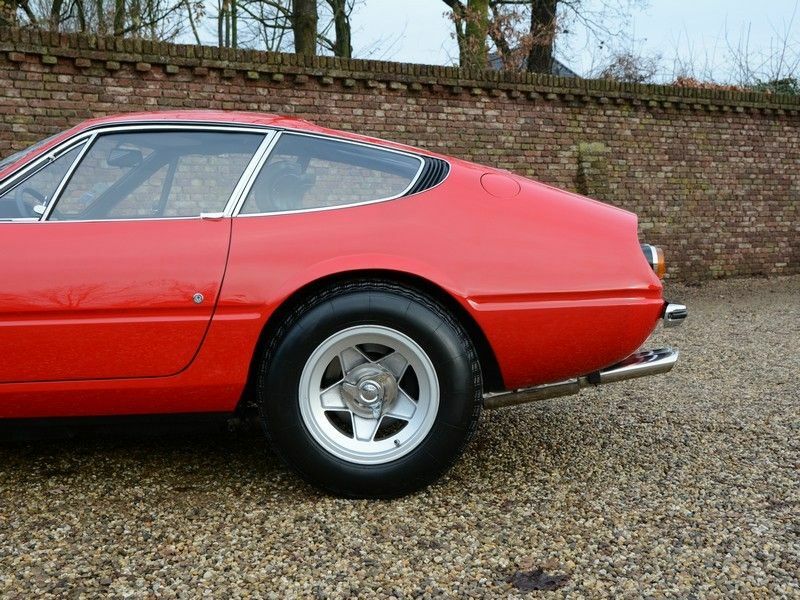 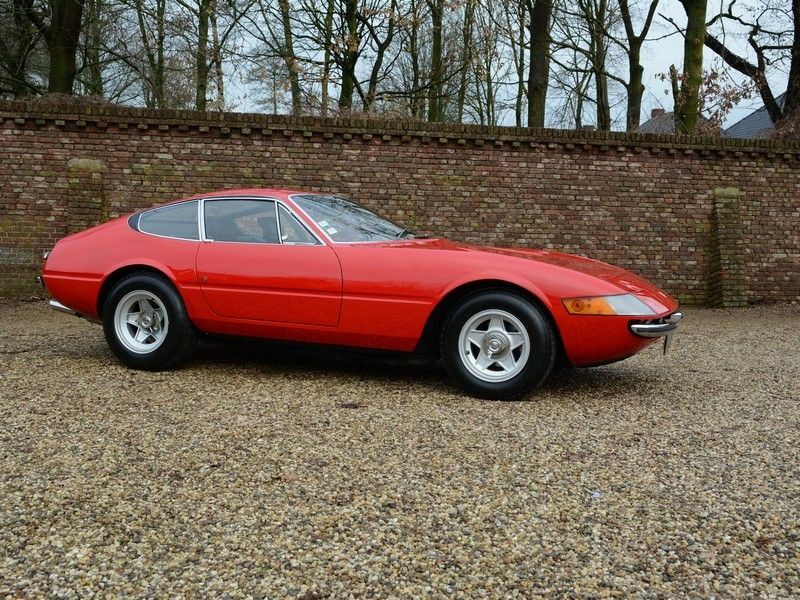 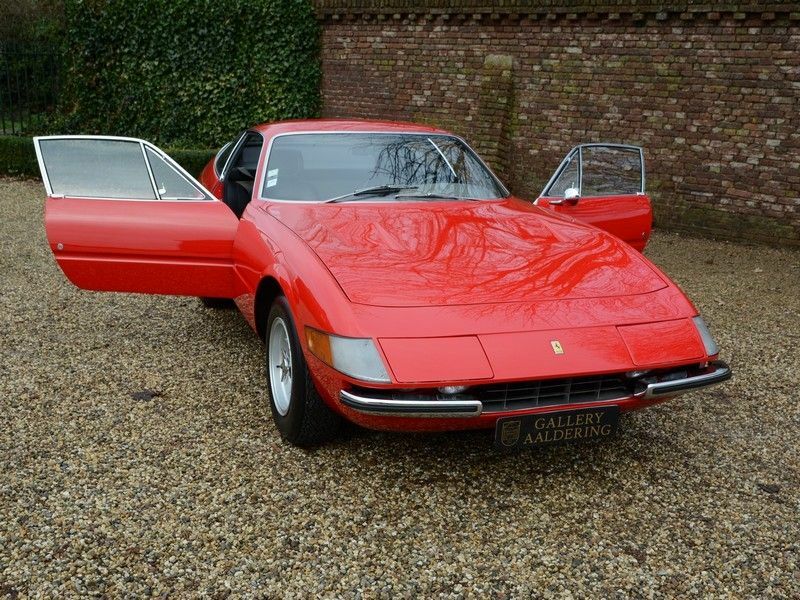 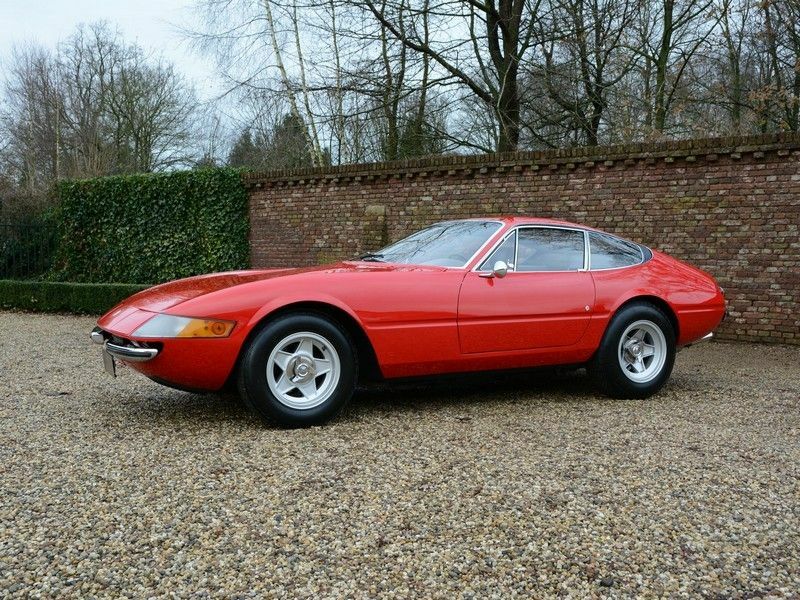 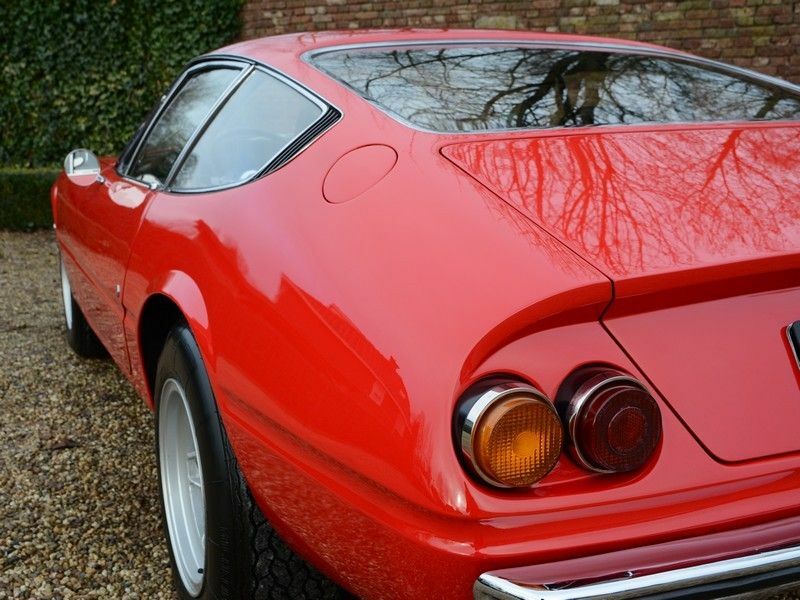 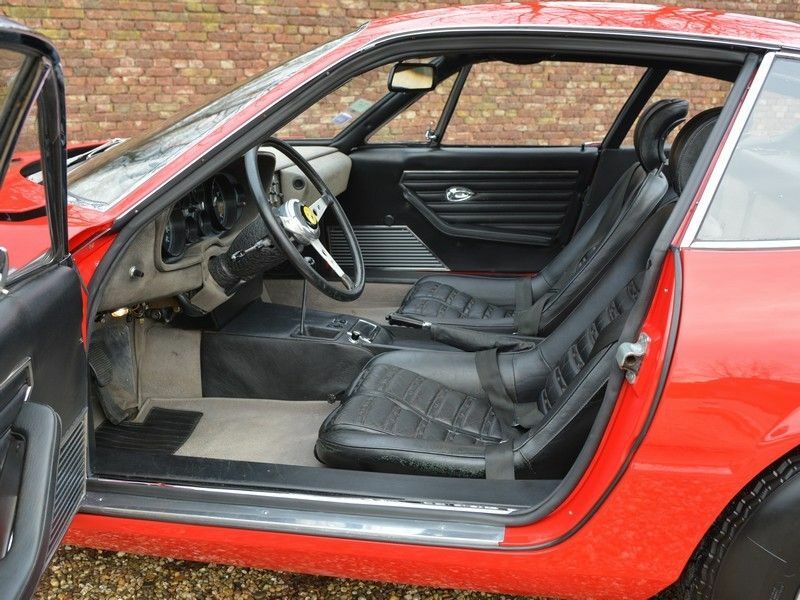 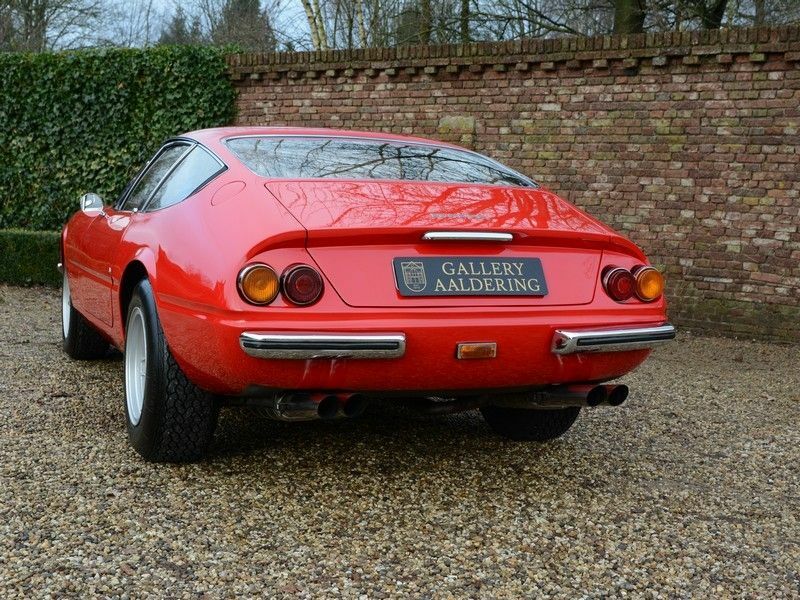 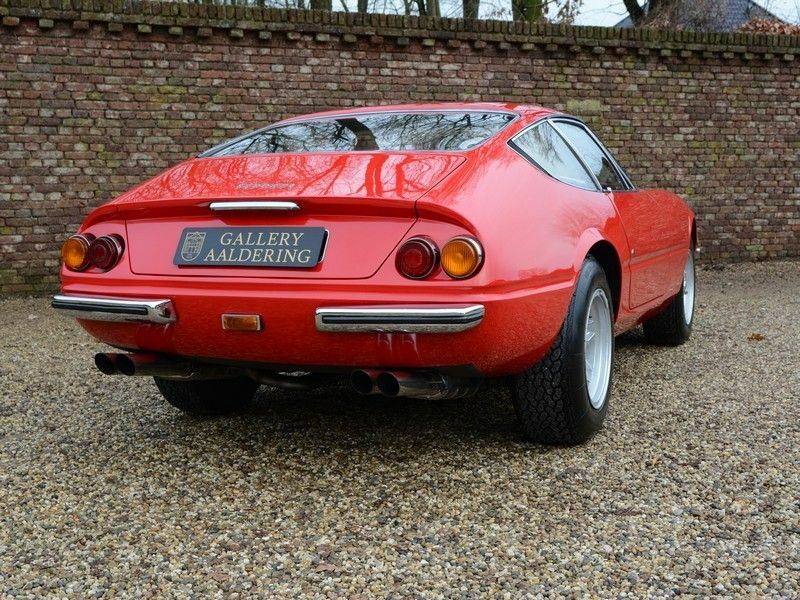 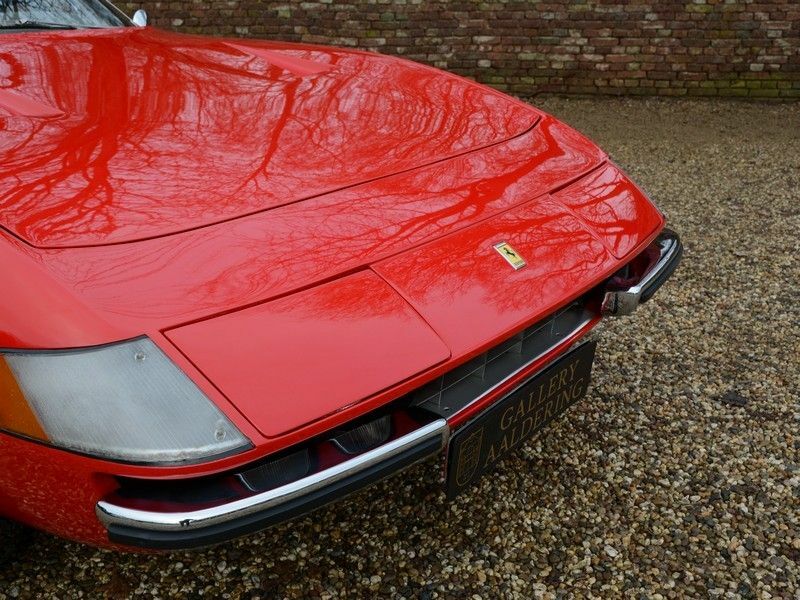 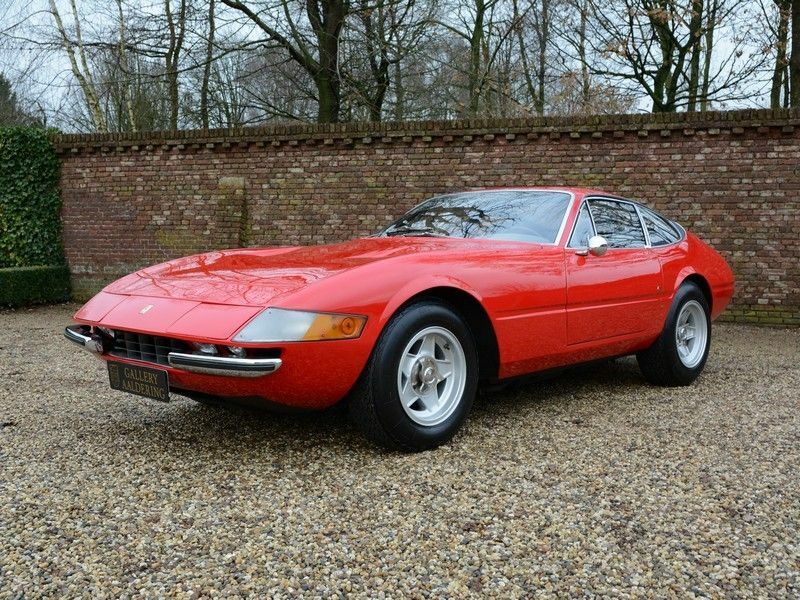 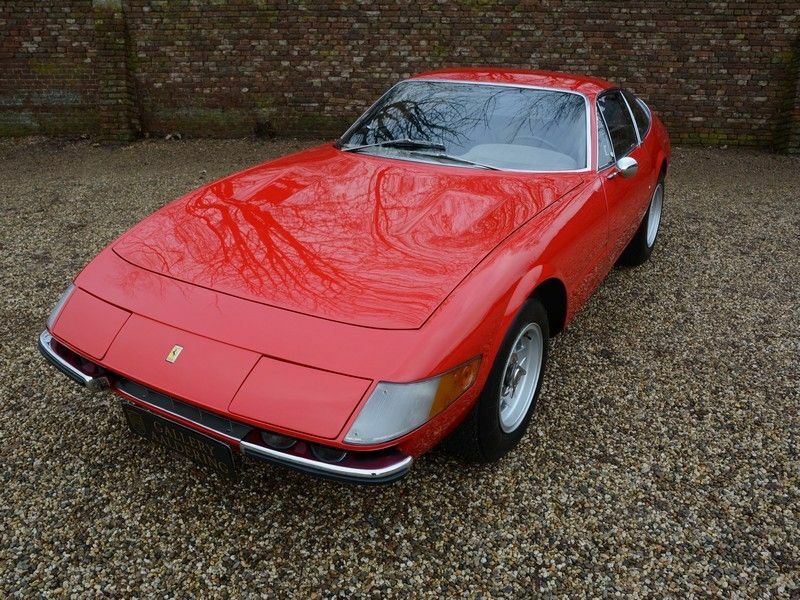 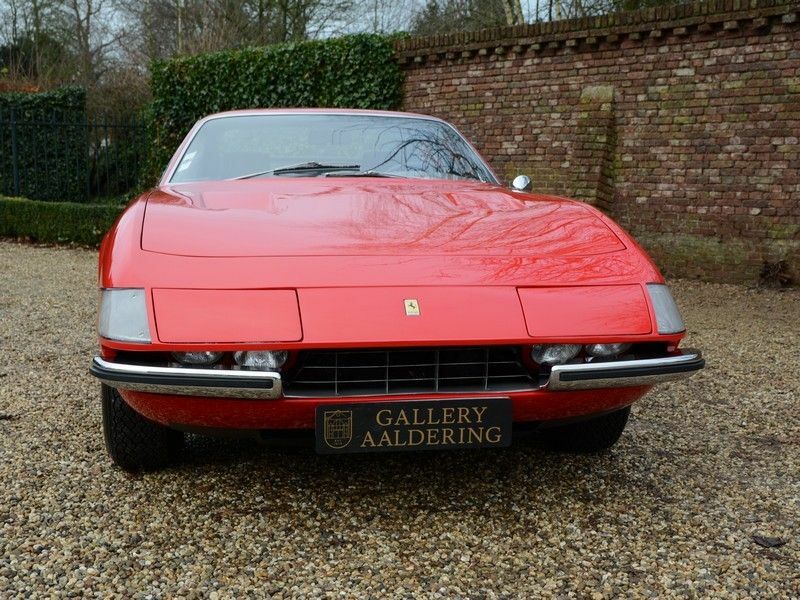 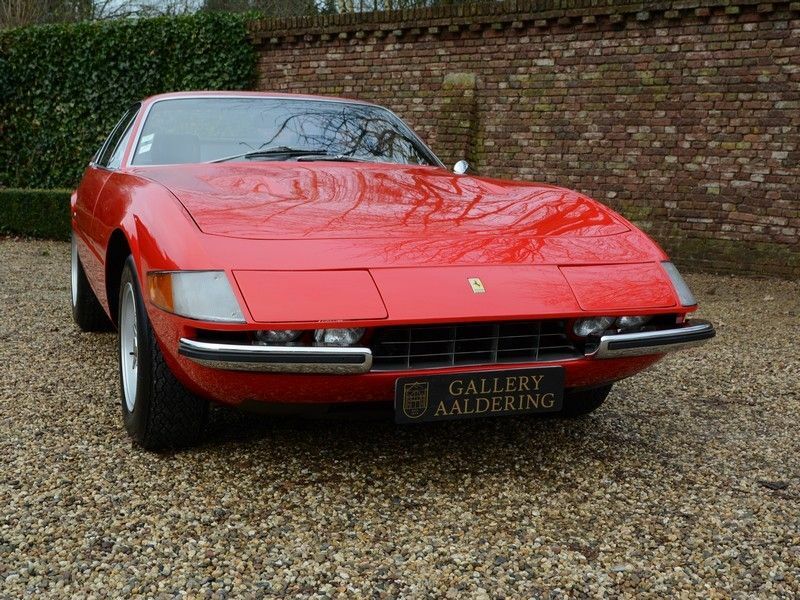 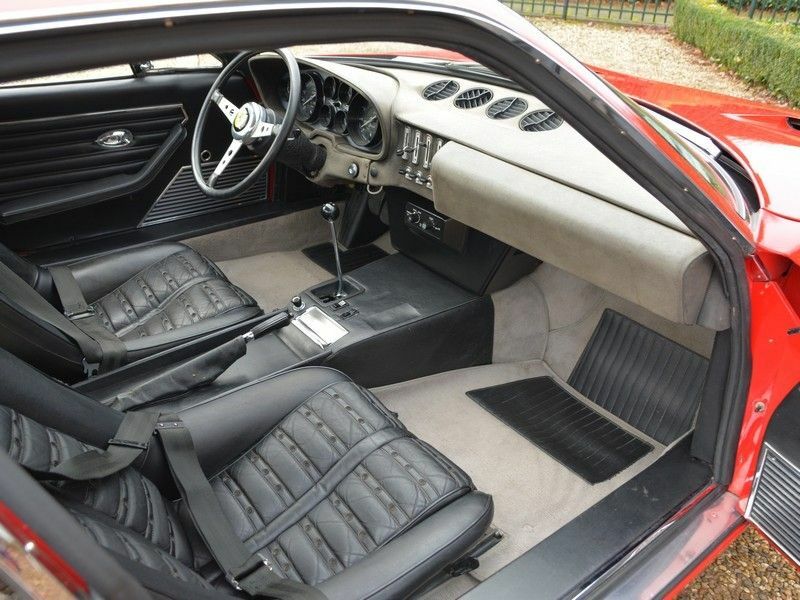 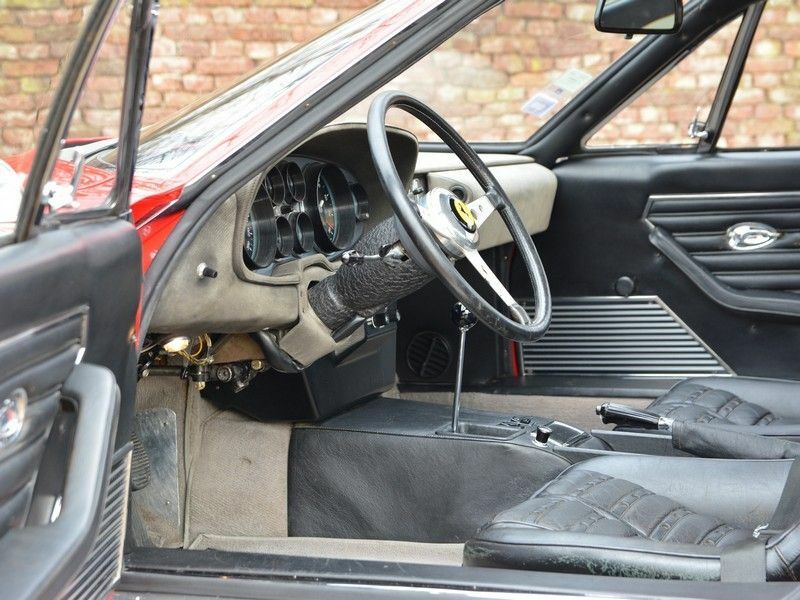 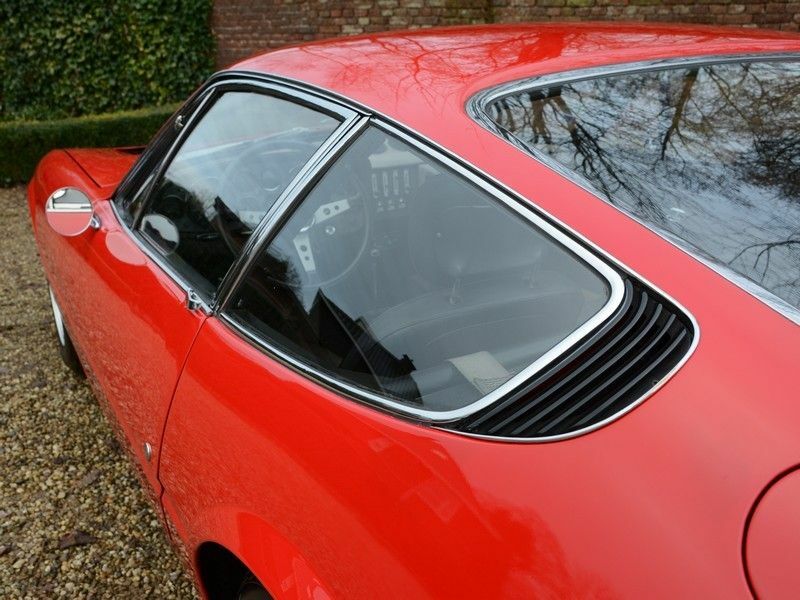 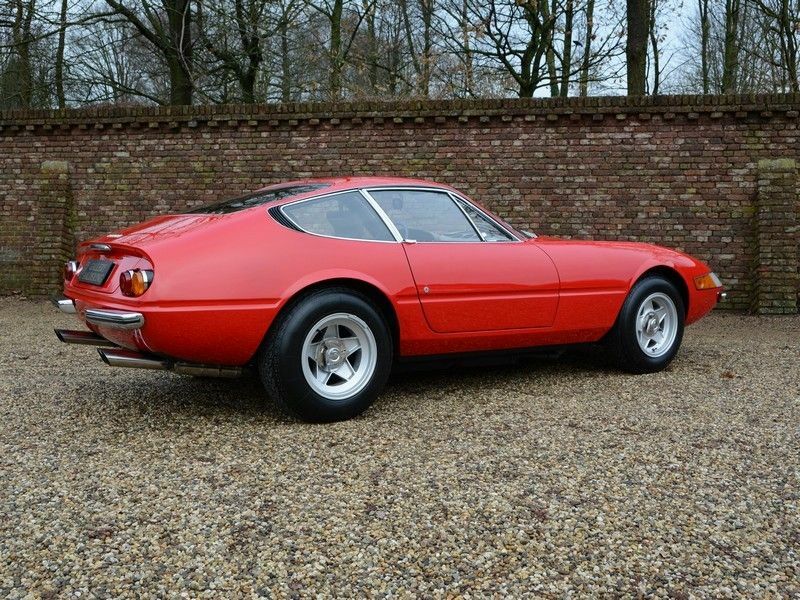 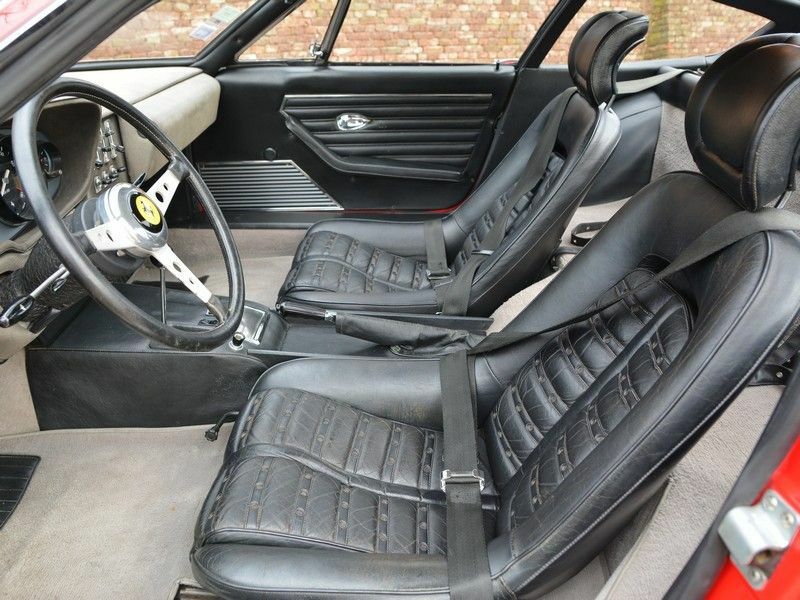 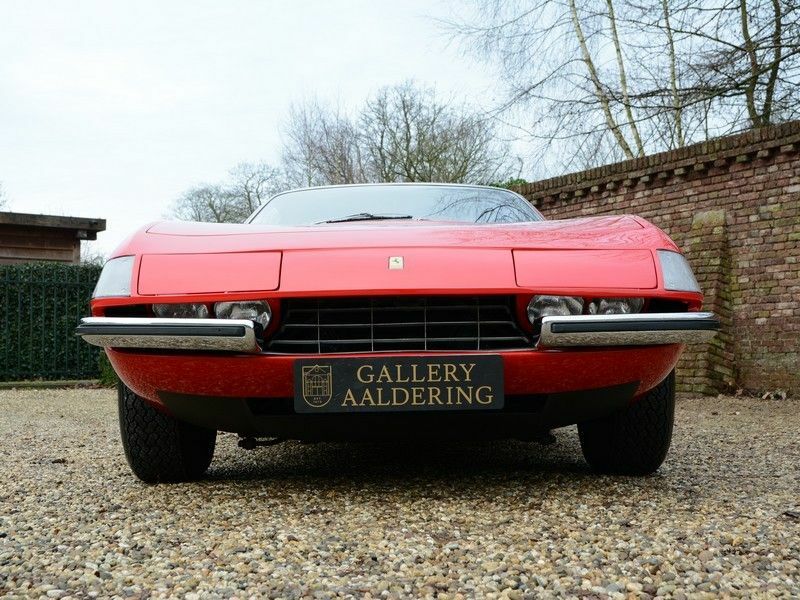 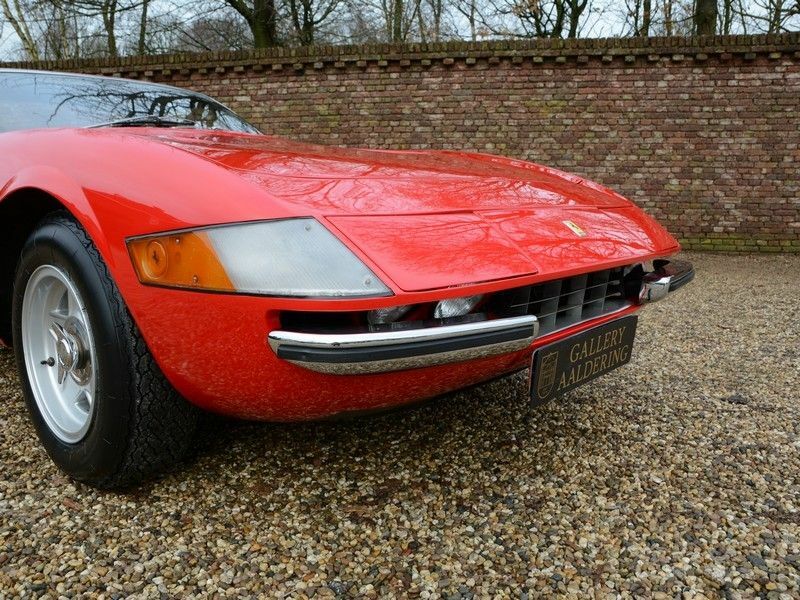 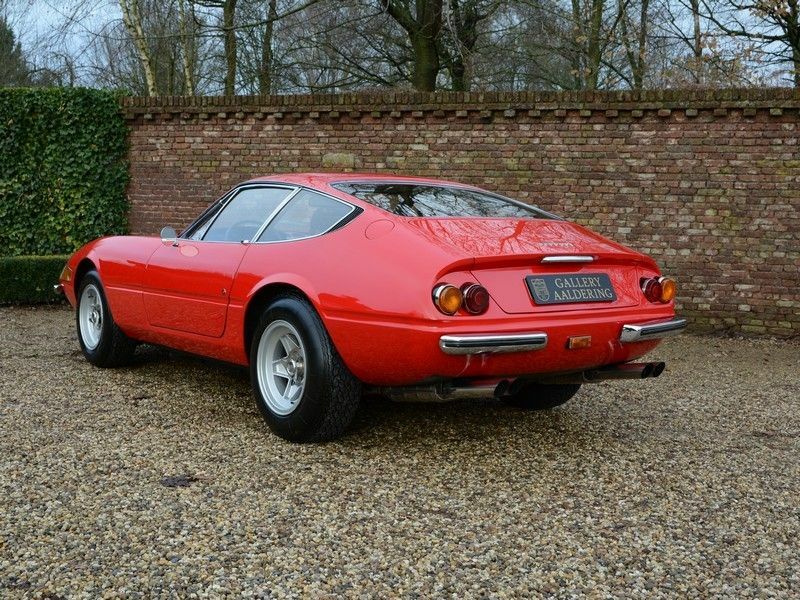 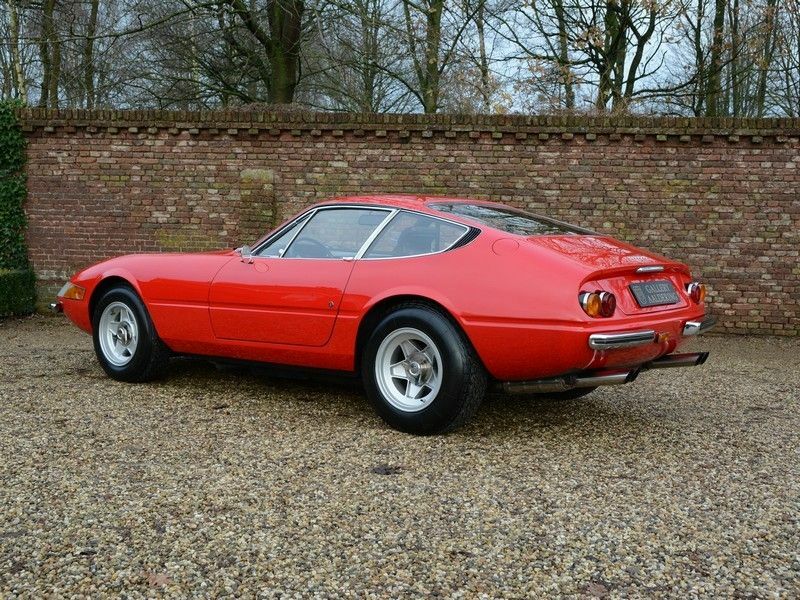 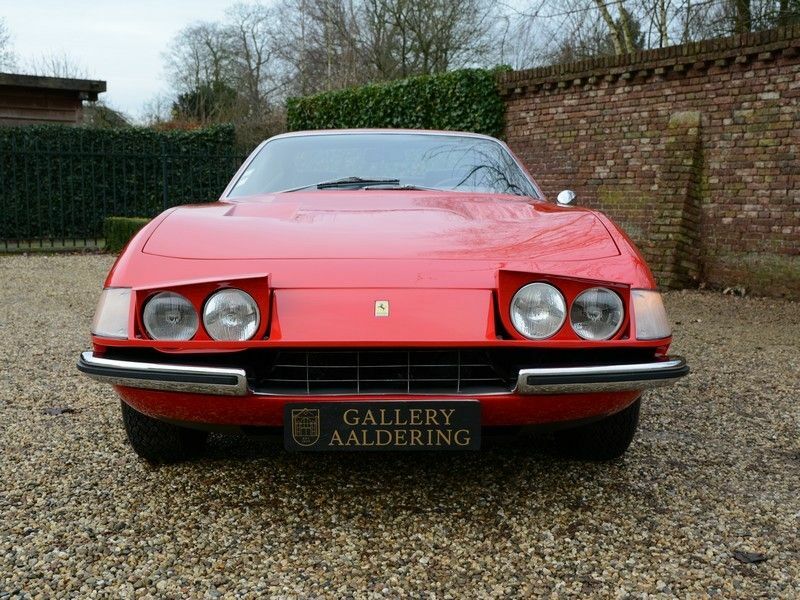 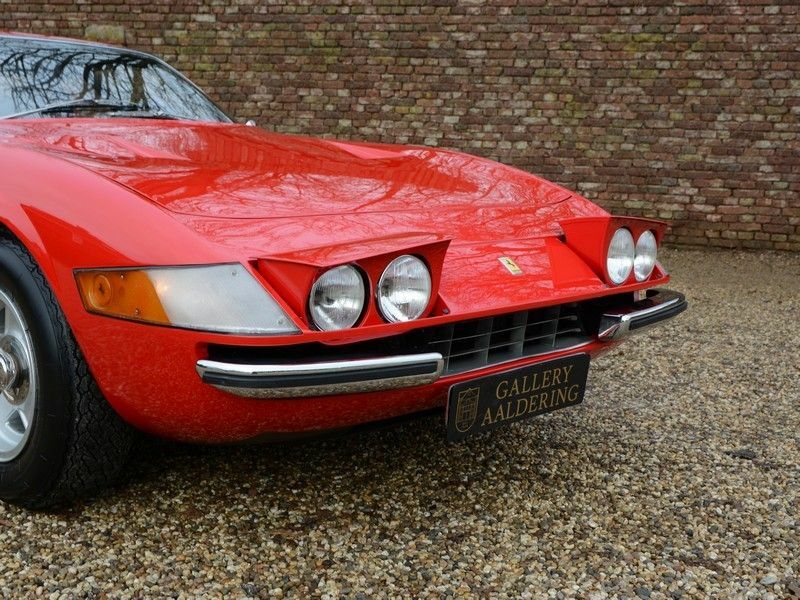 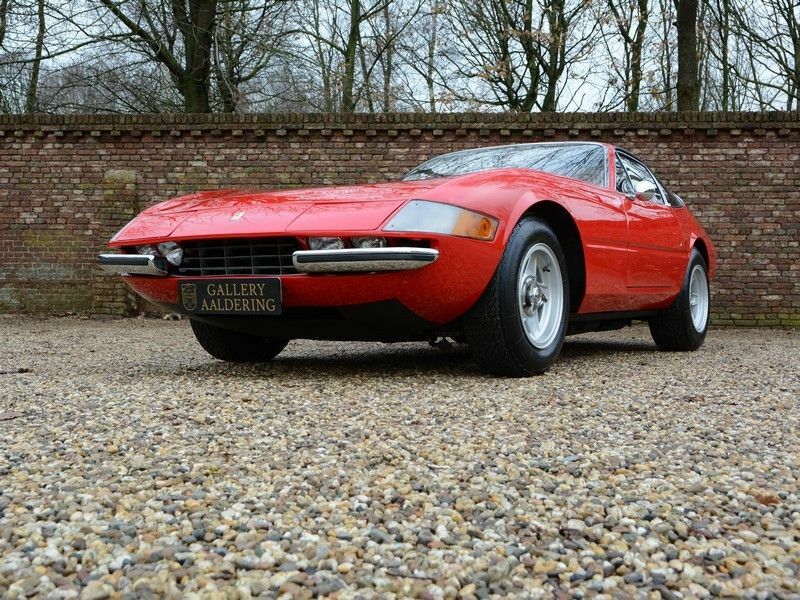 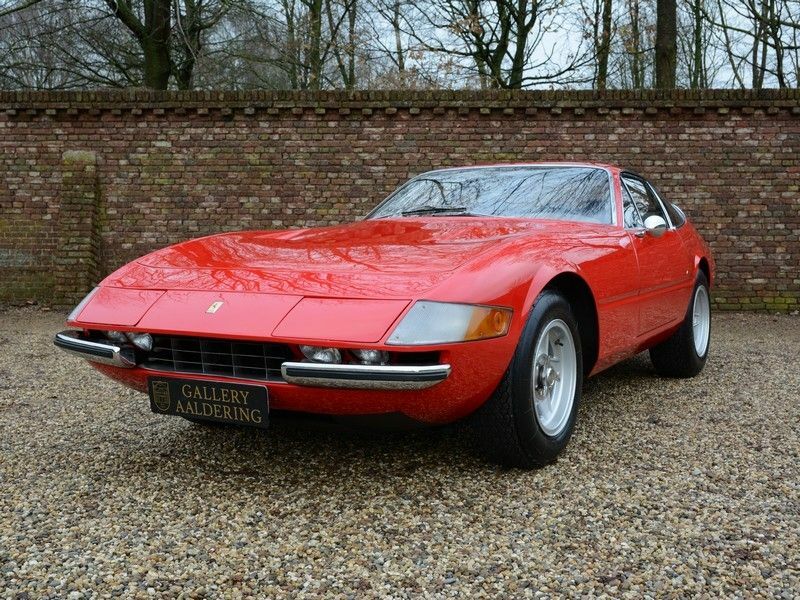 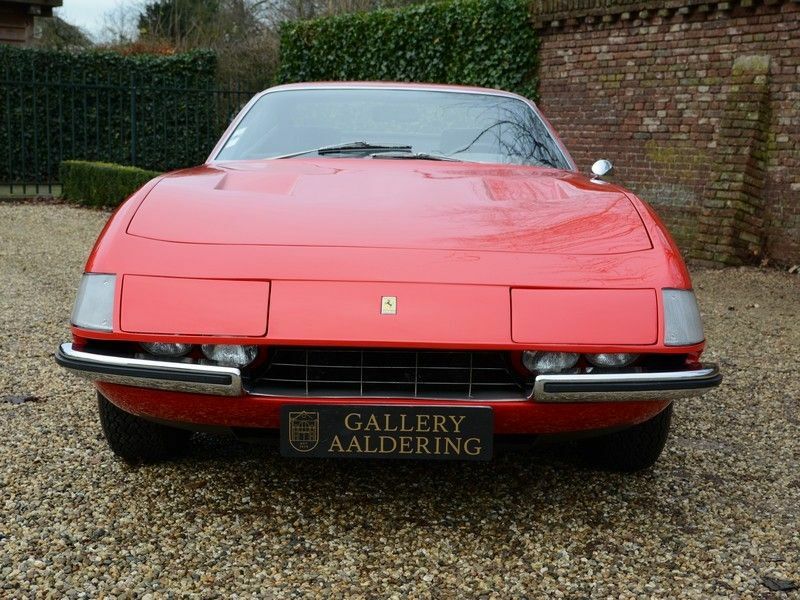 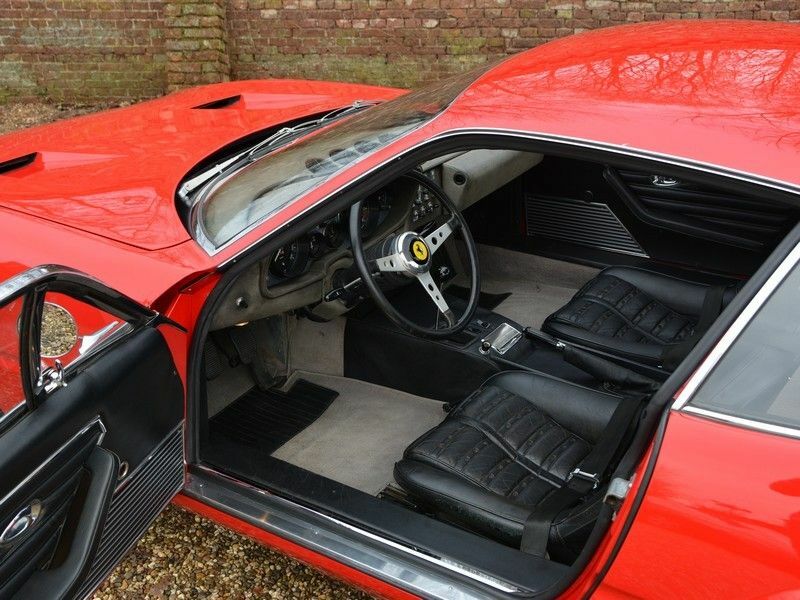 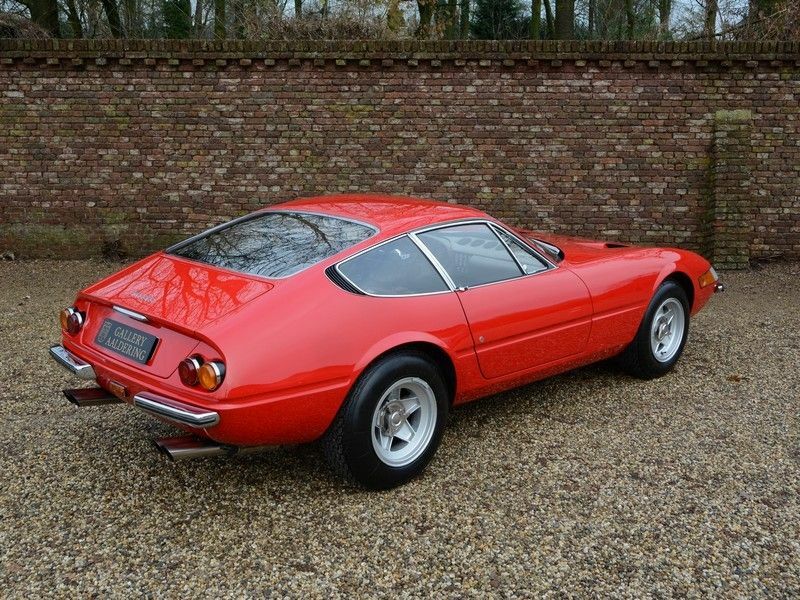 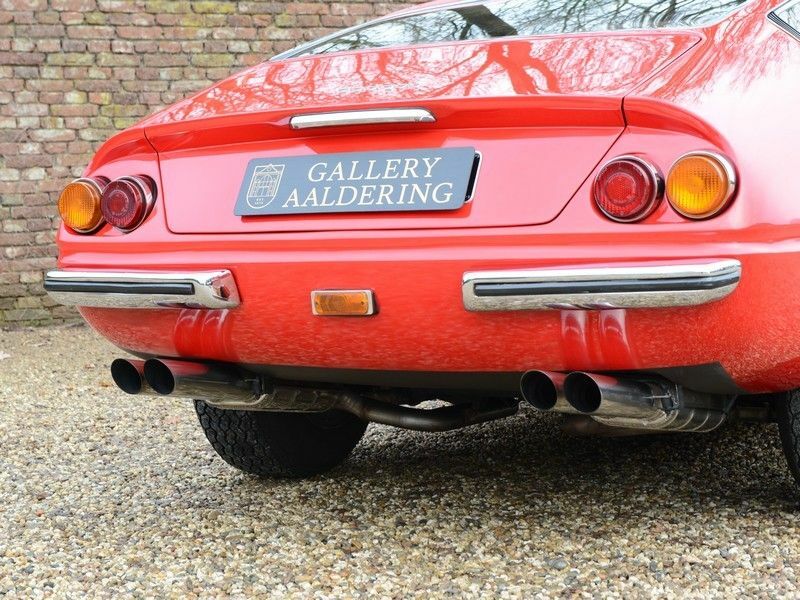 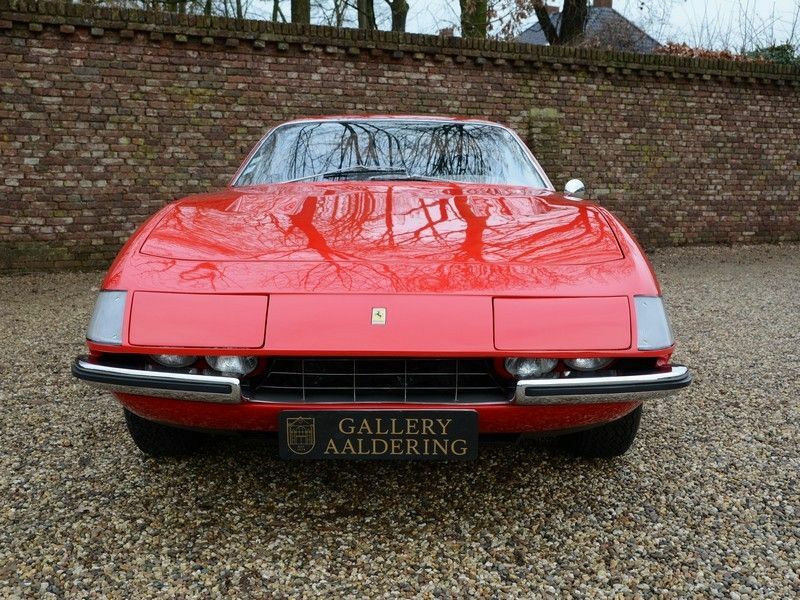 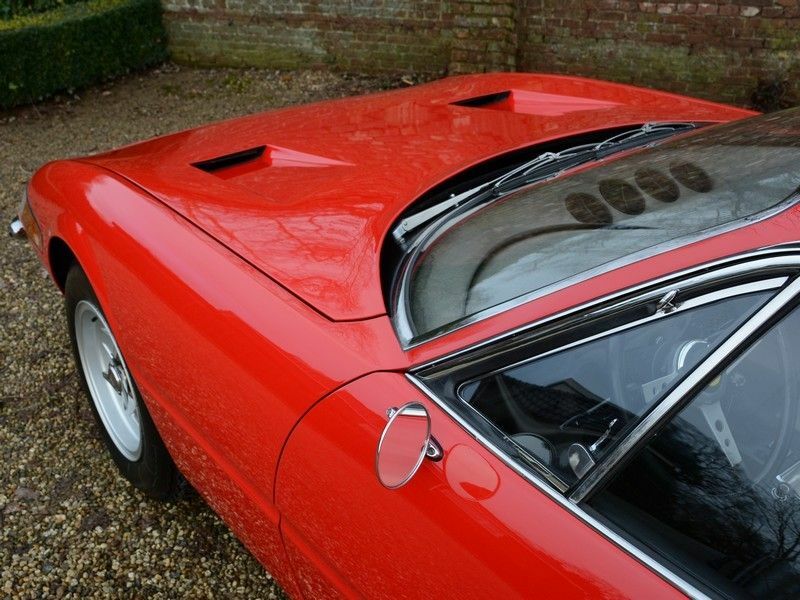 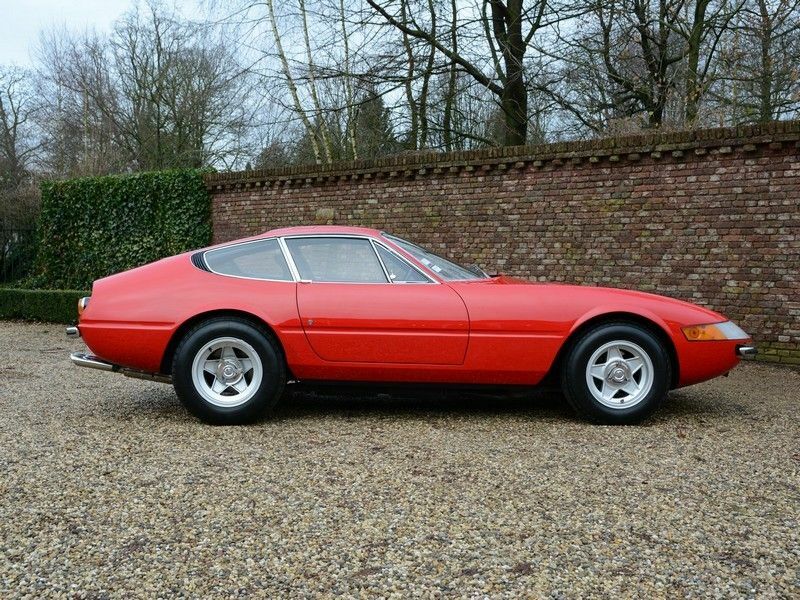 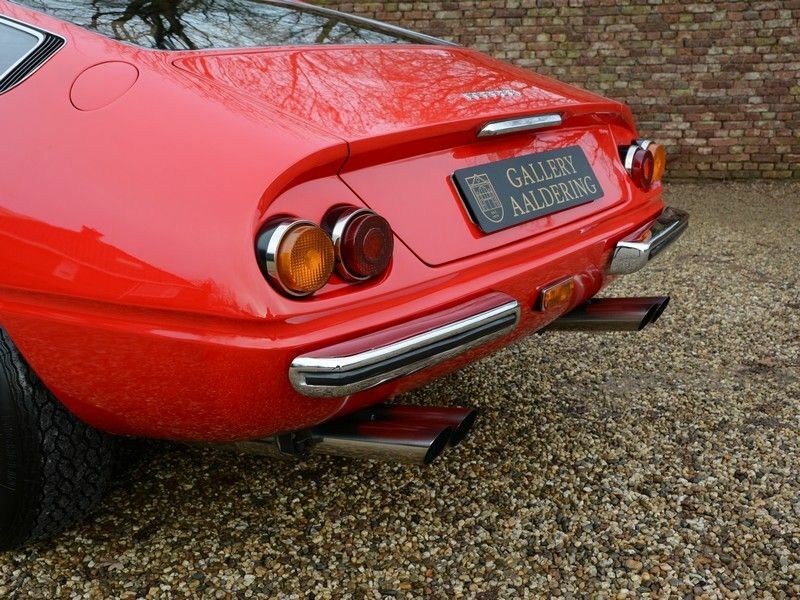 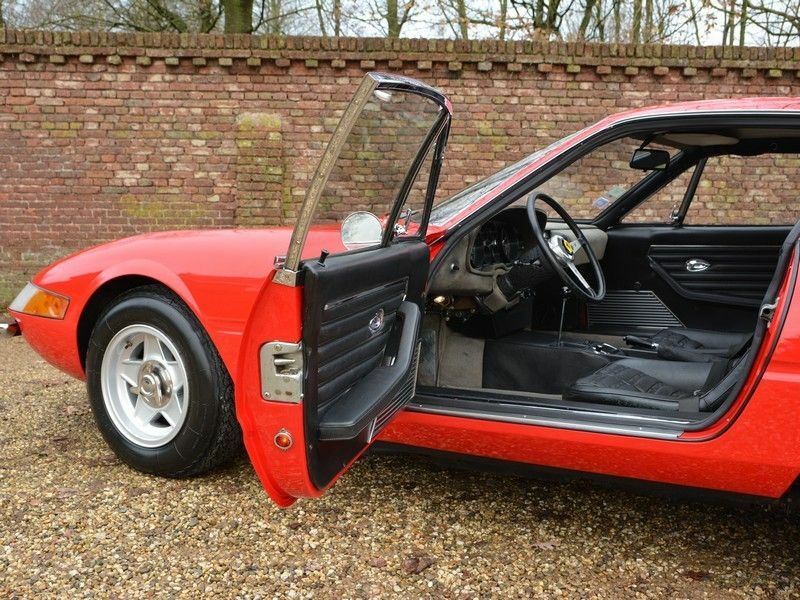 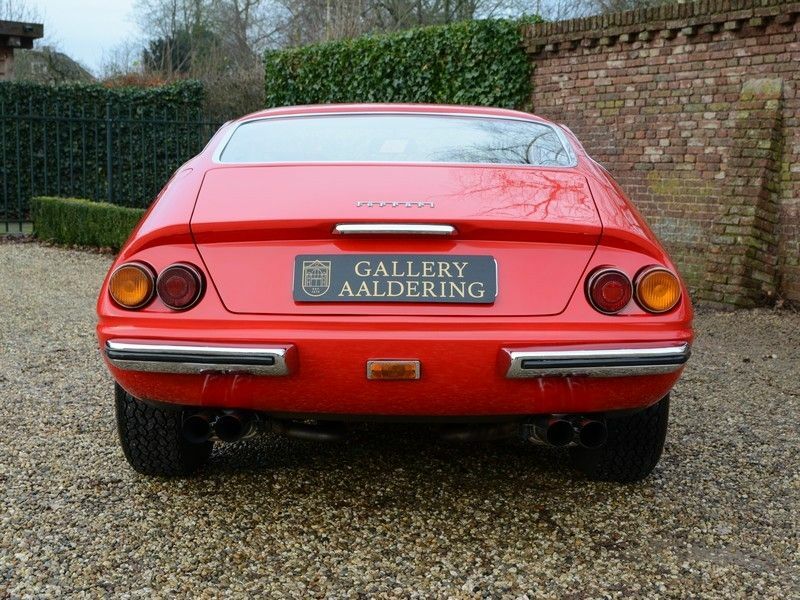 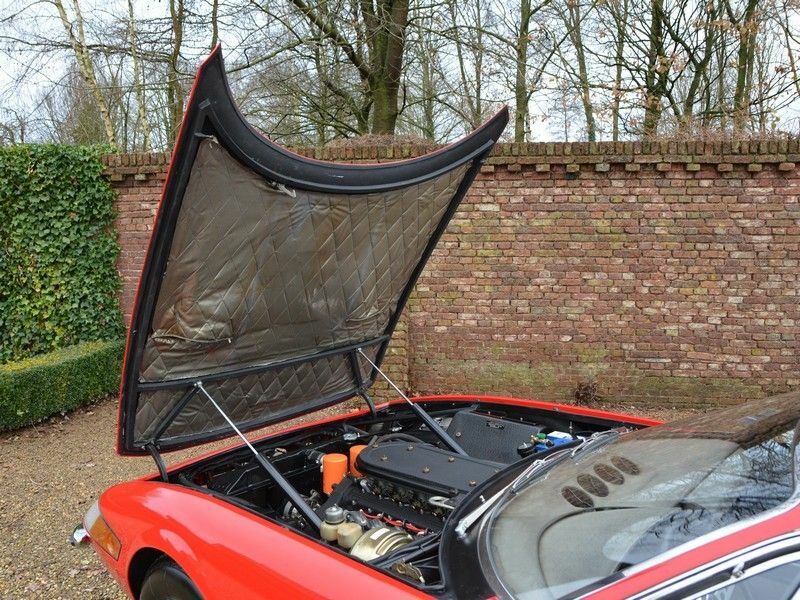 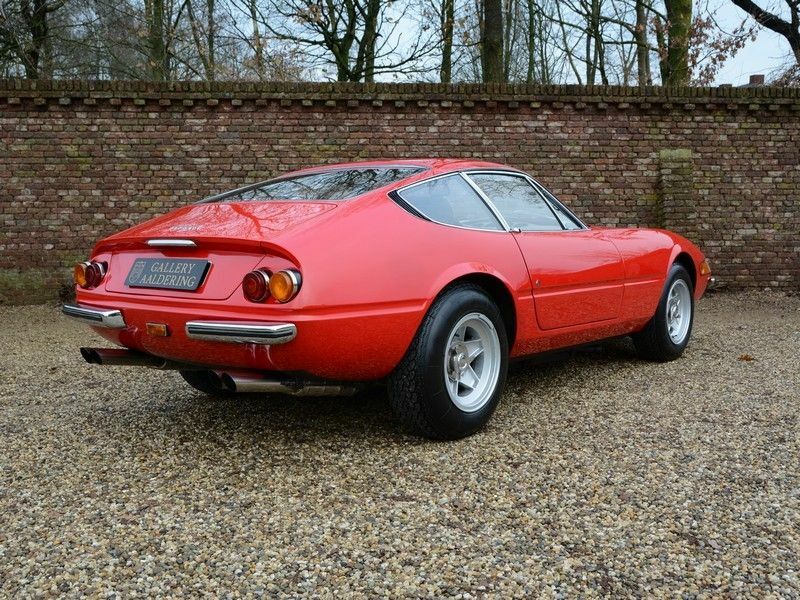 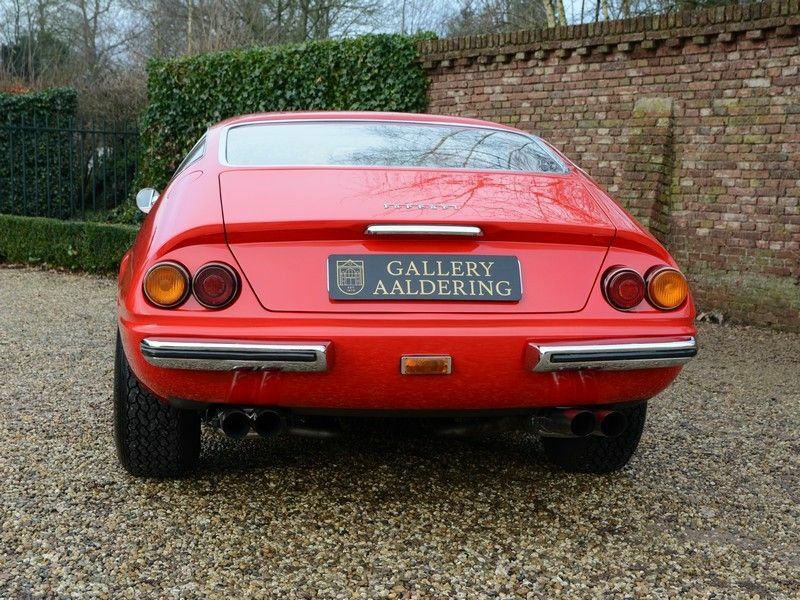 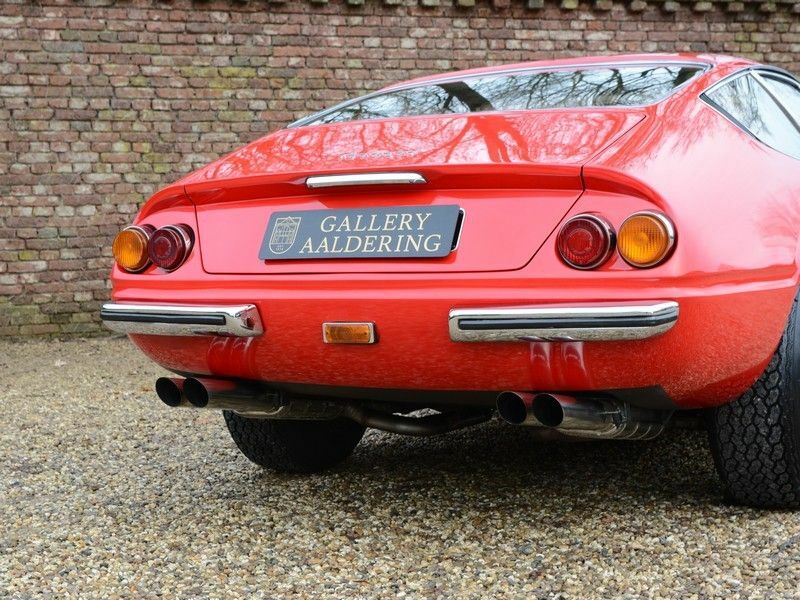 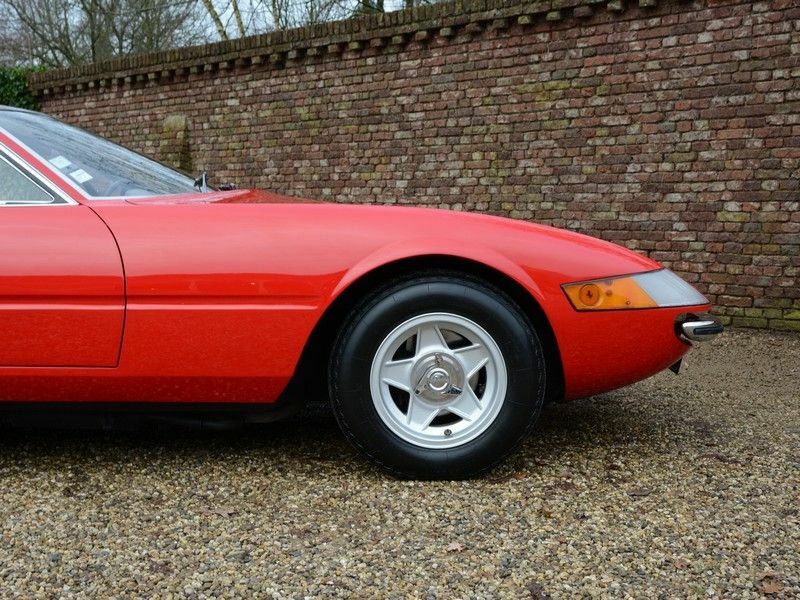 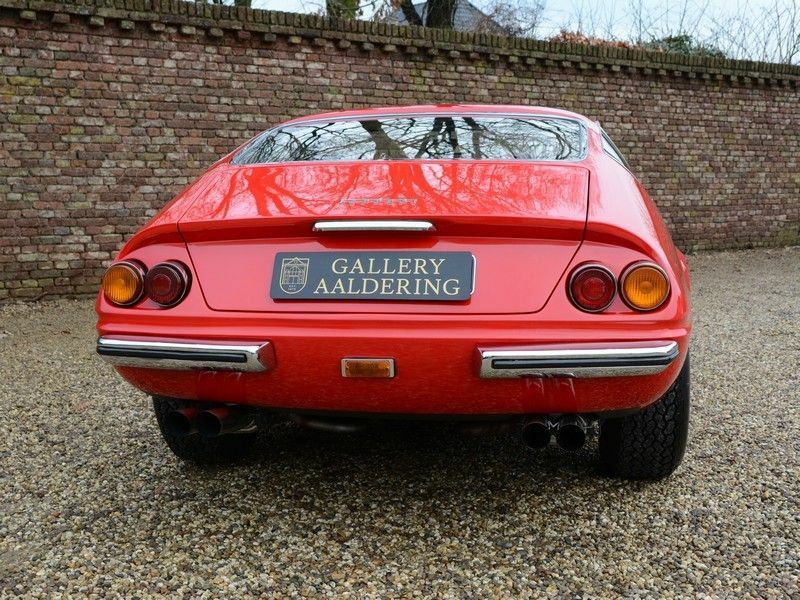 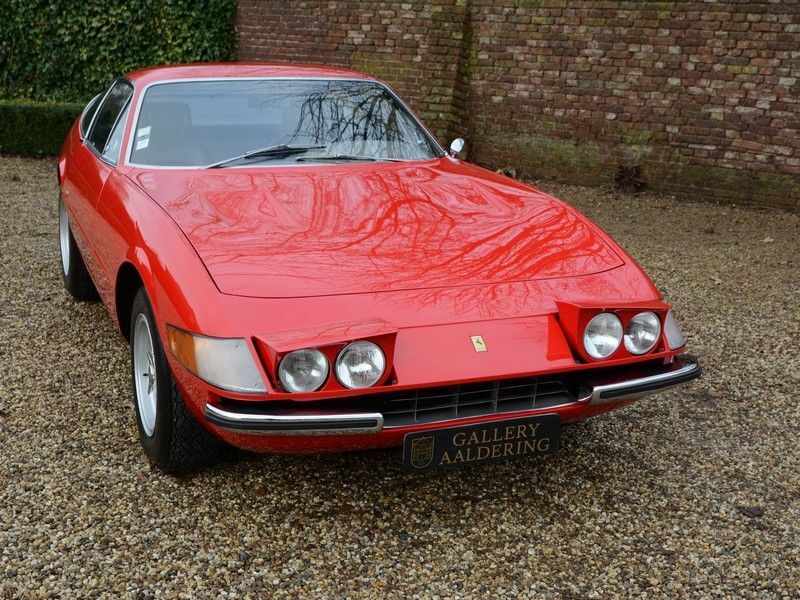 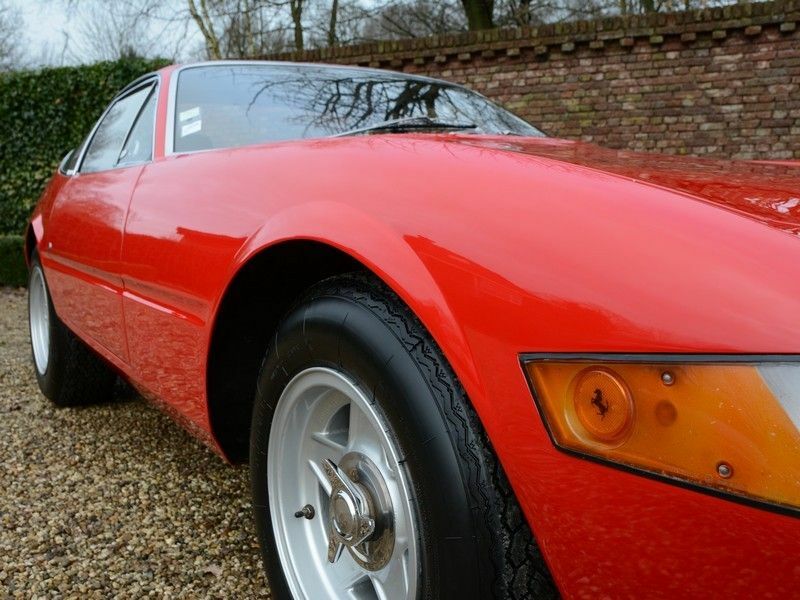 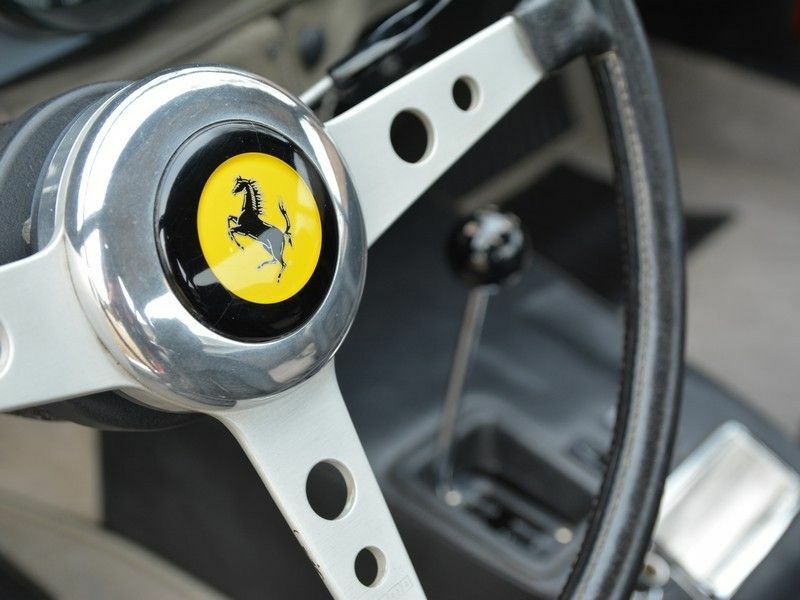 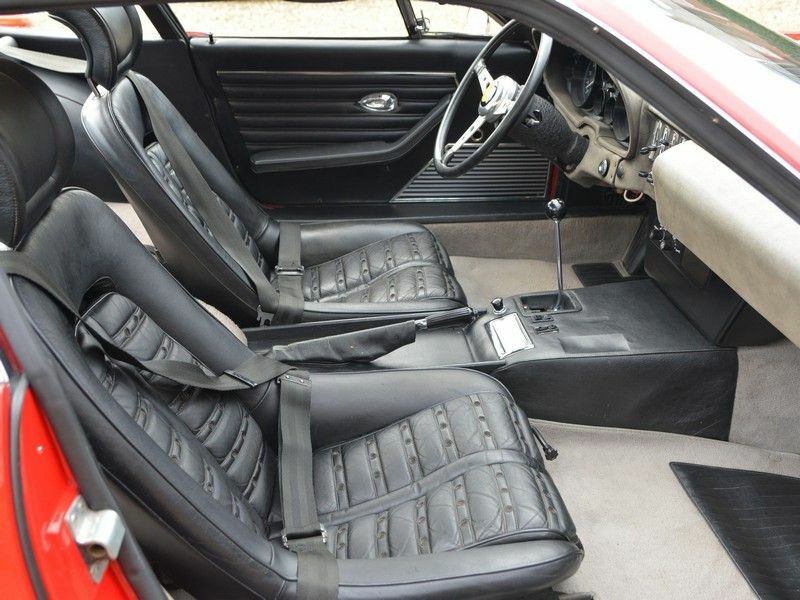 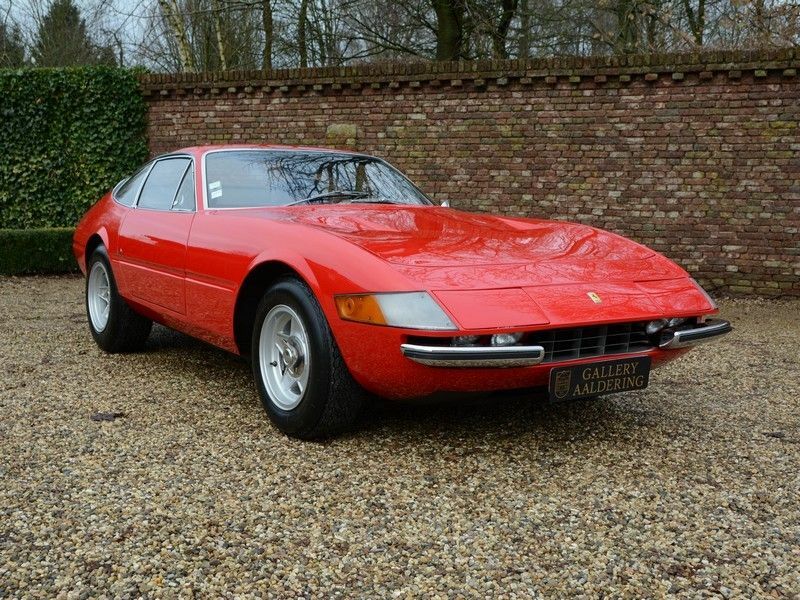 We have one of the most desirable and famous Italian Gran Turismo`s on offer: The Ferrari 365 GTB/4, better known as the Daytona. 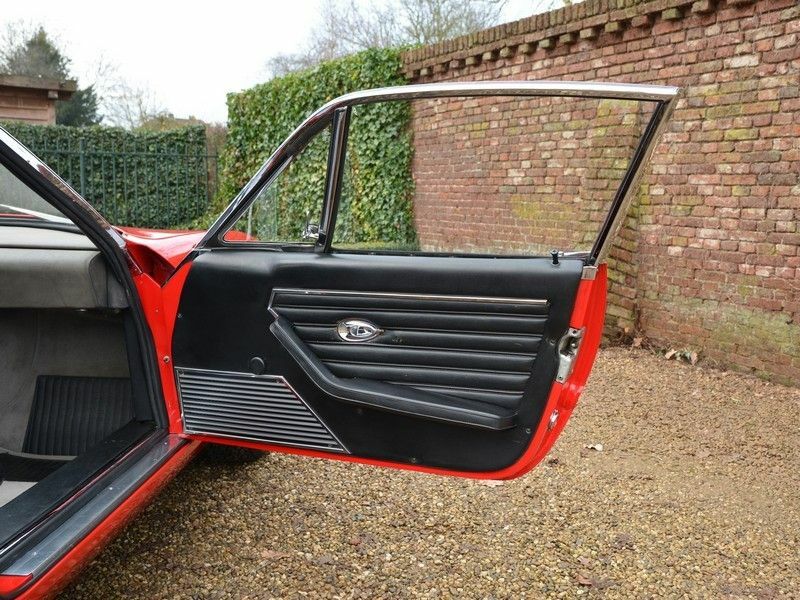 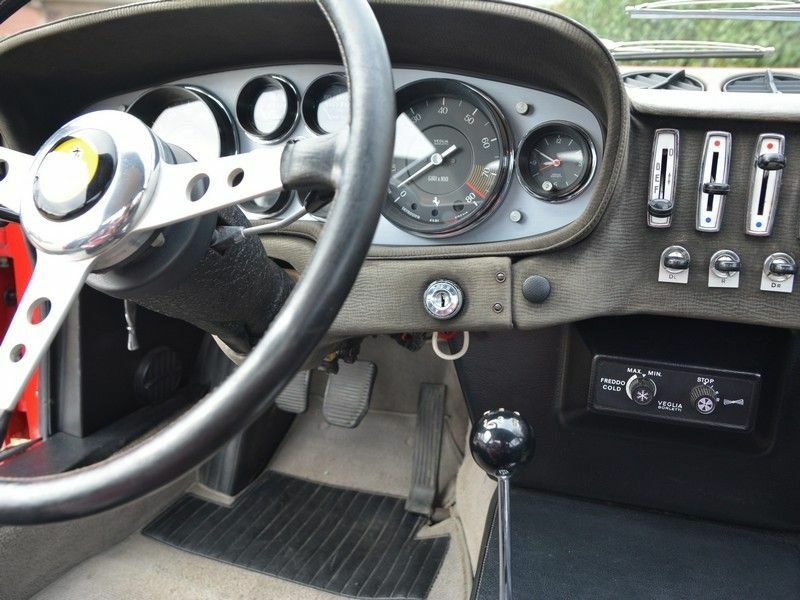 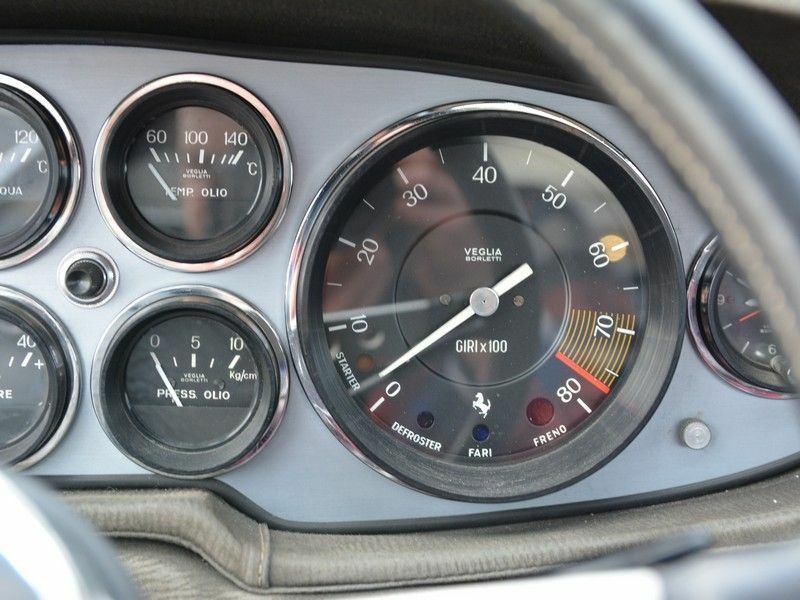 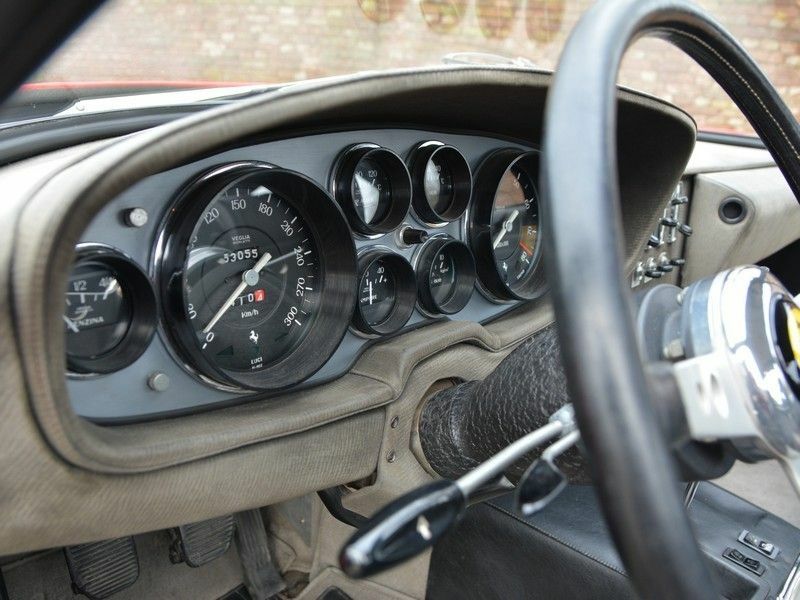 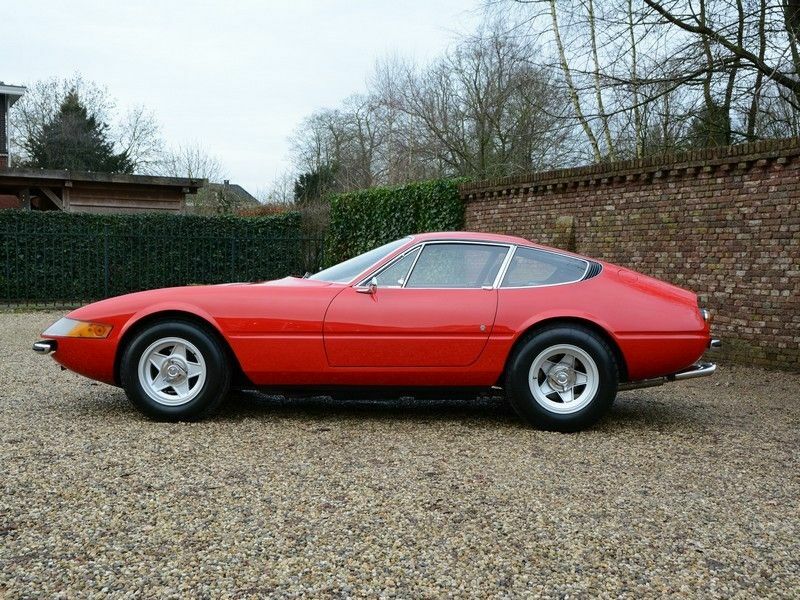 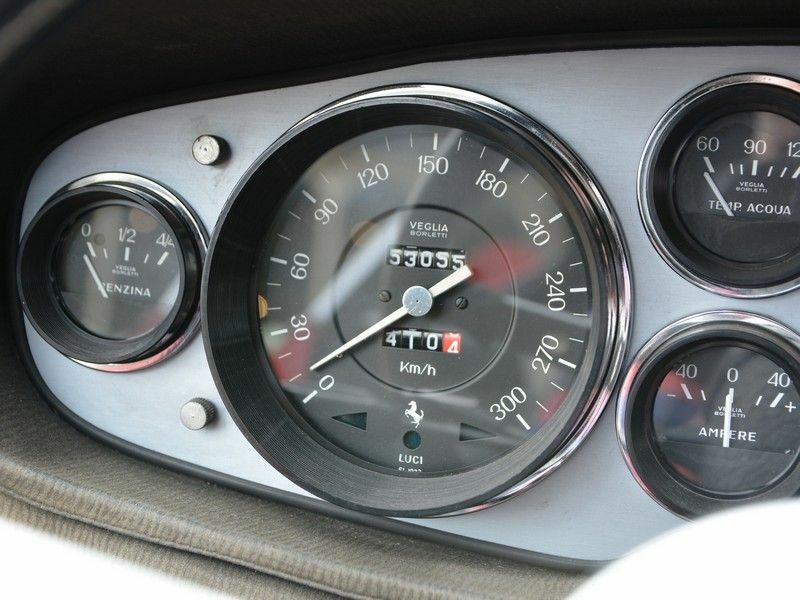 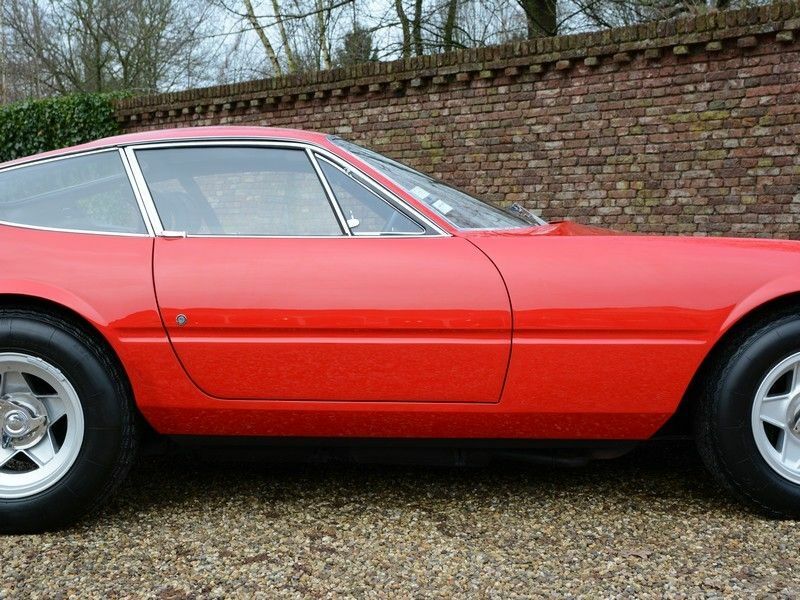 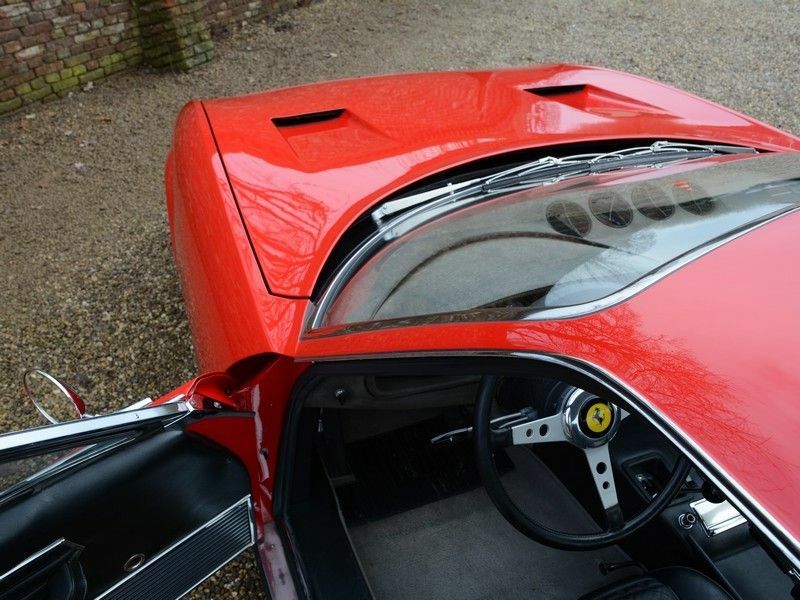 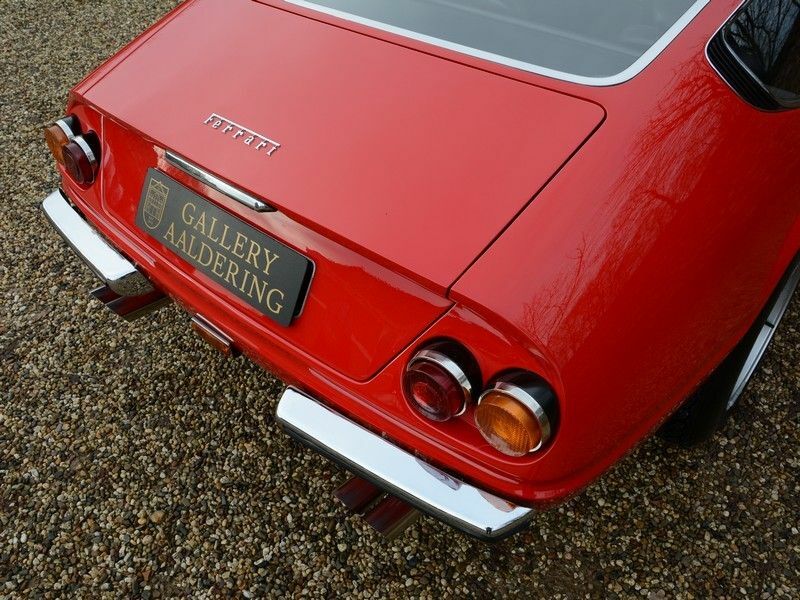 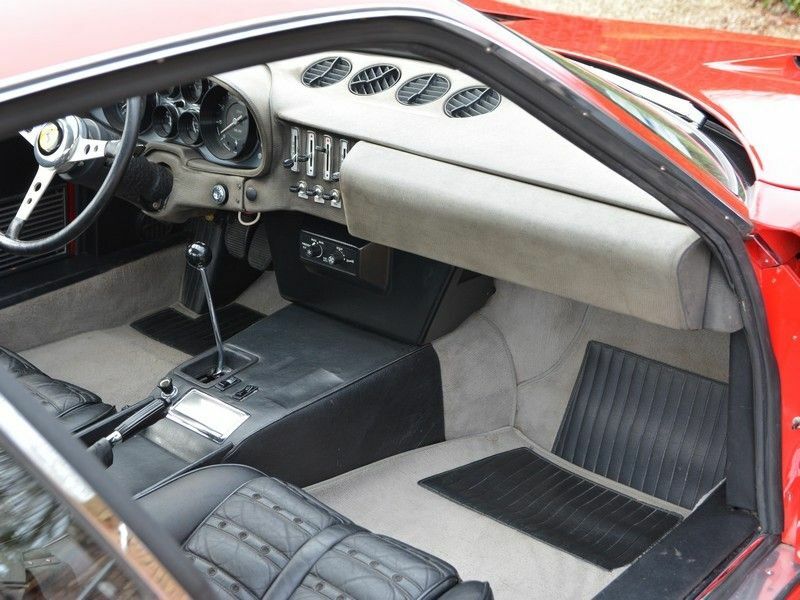 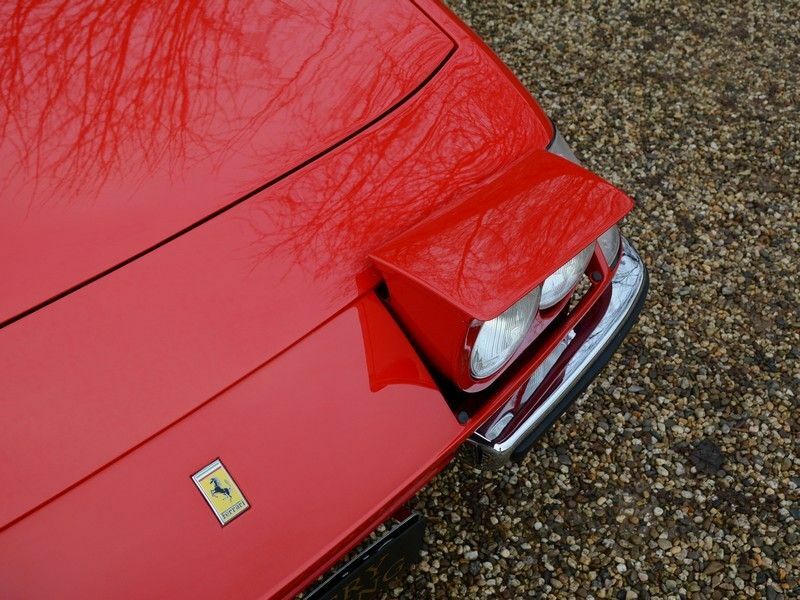 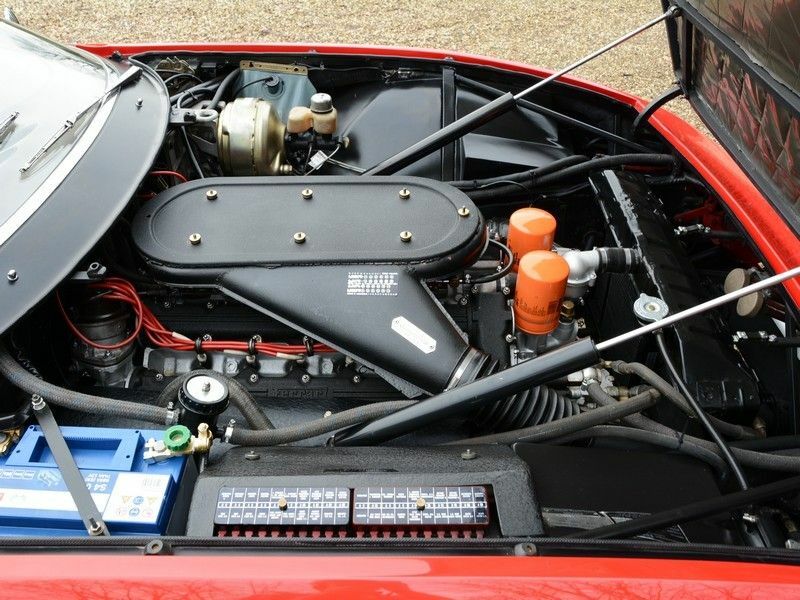 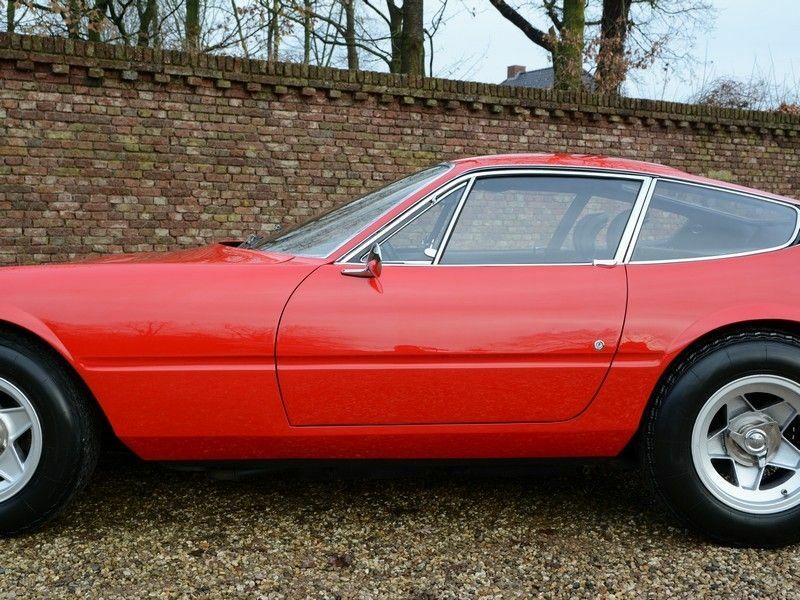 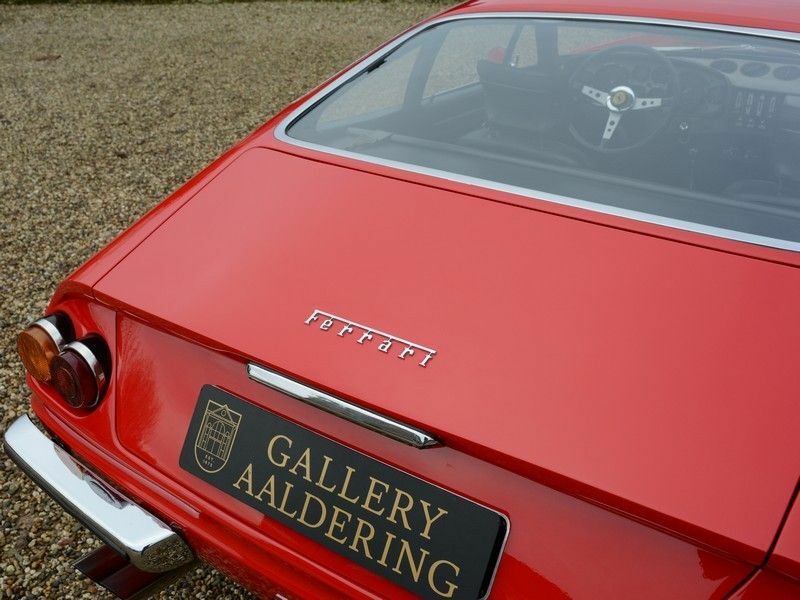 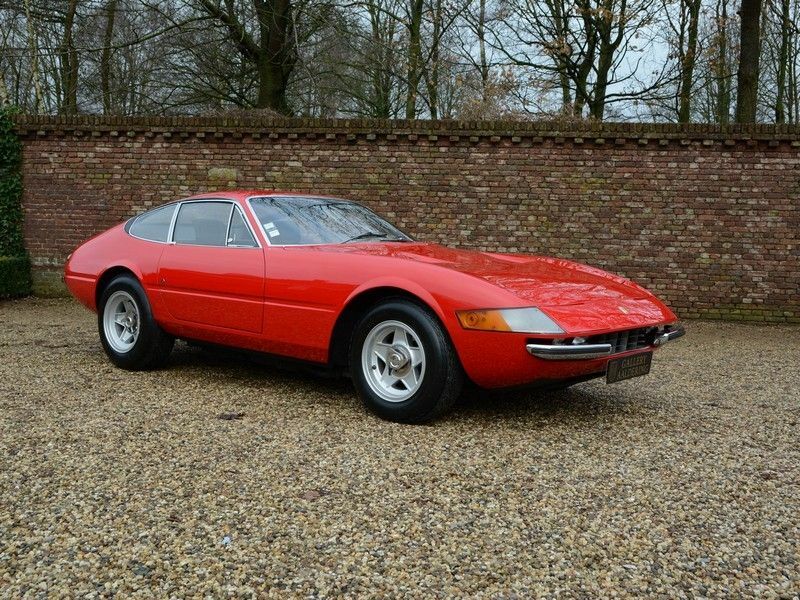 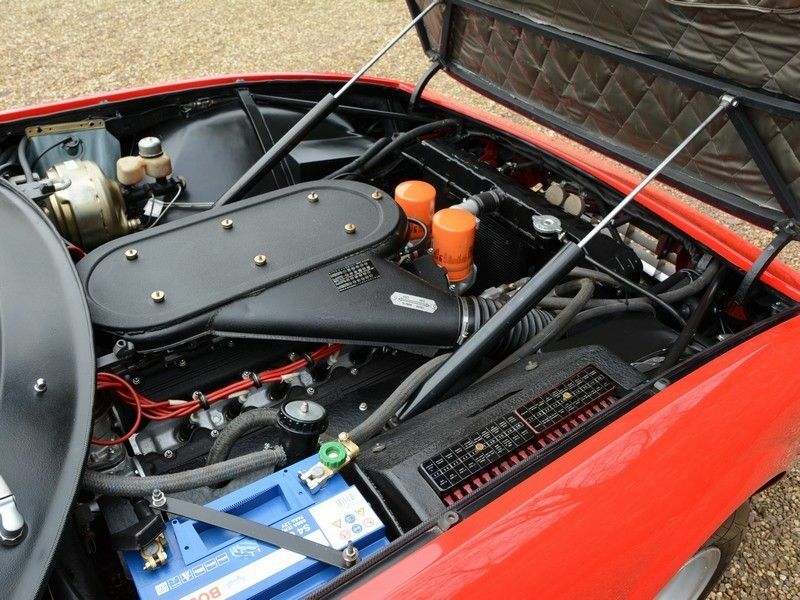 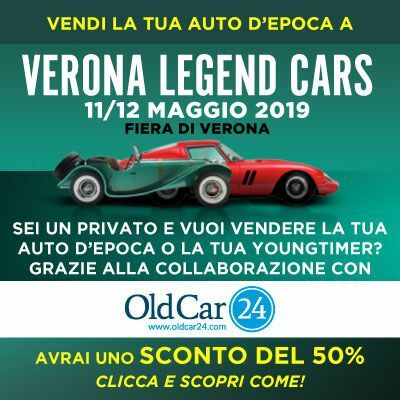 This particularly authentic car was supplied by Pozzi to a French customer in April 1972 and has only driven 53.028 km. 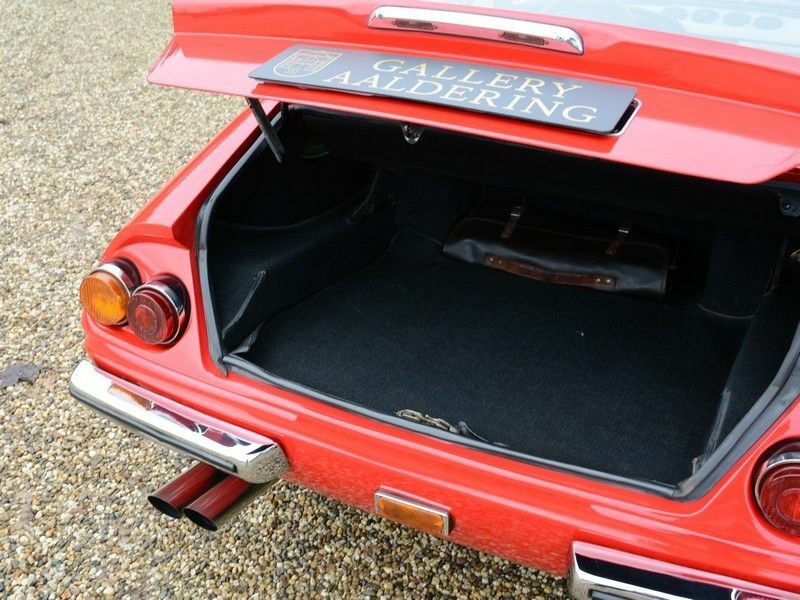 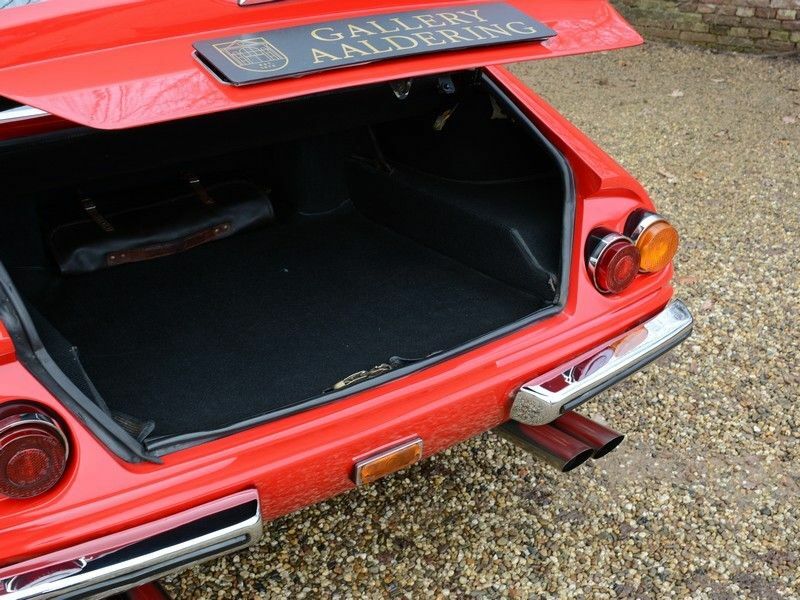 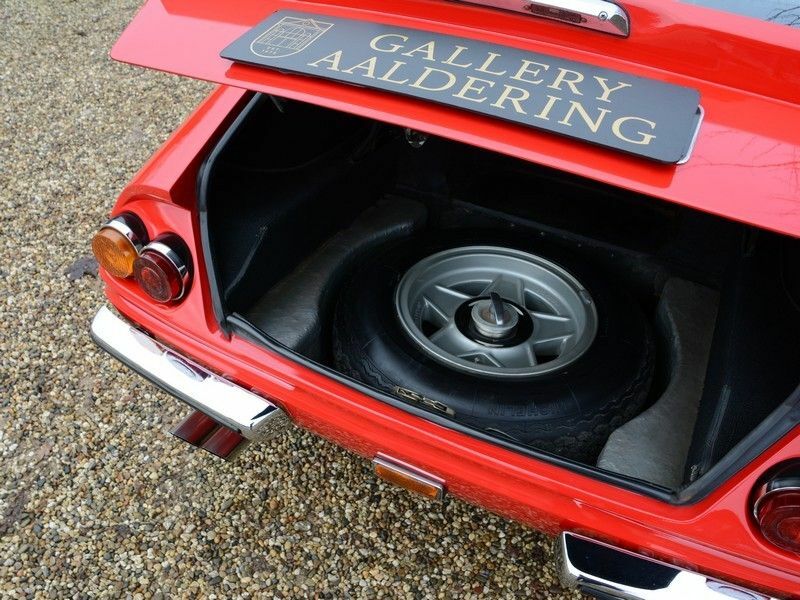 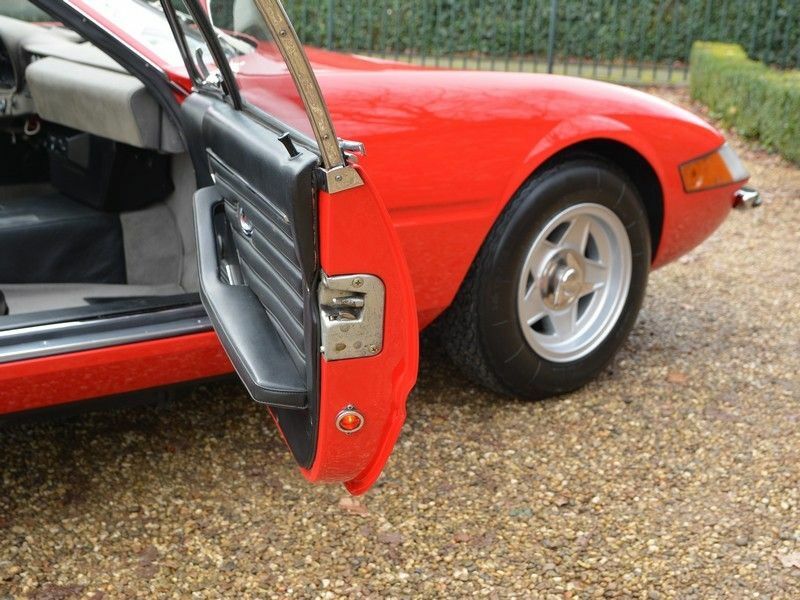 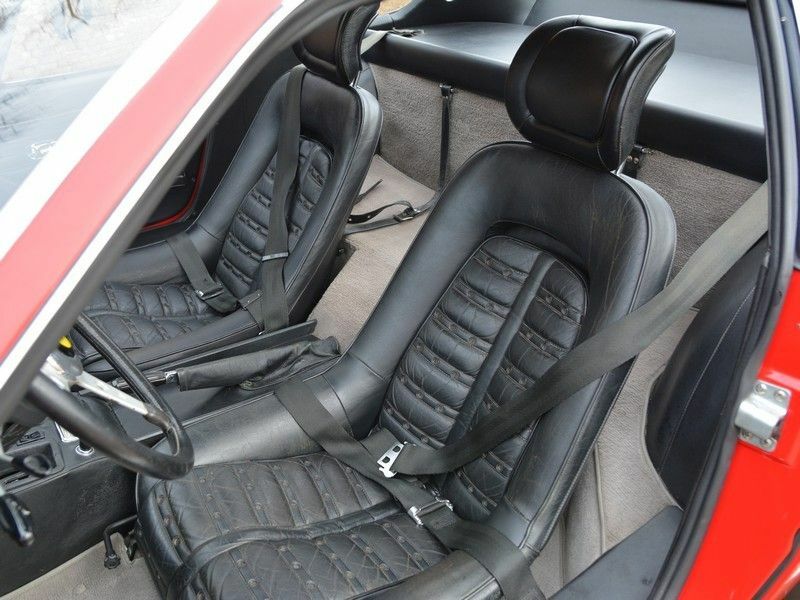 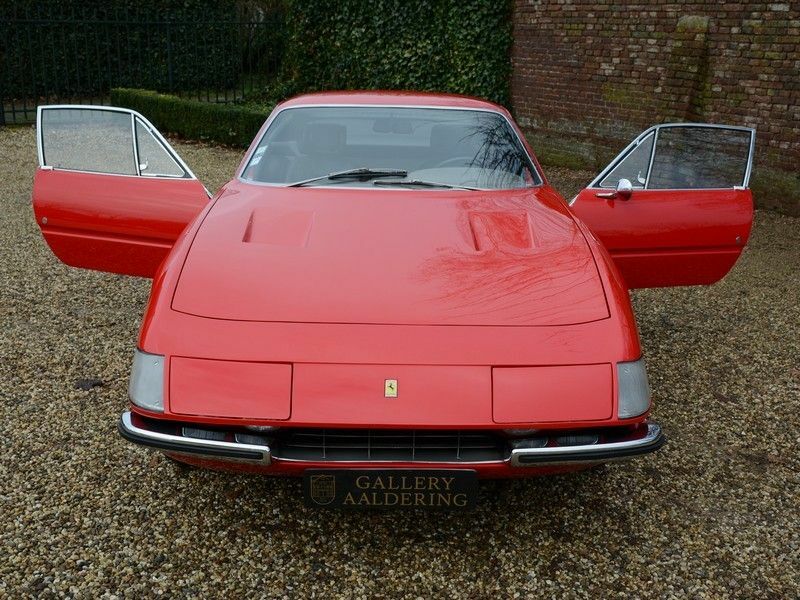 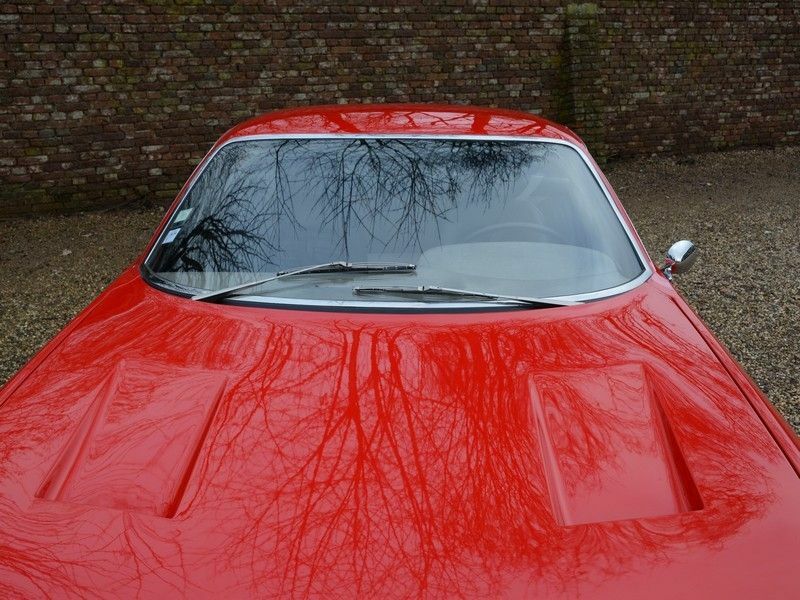 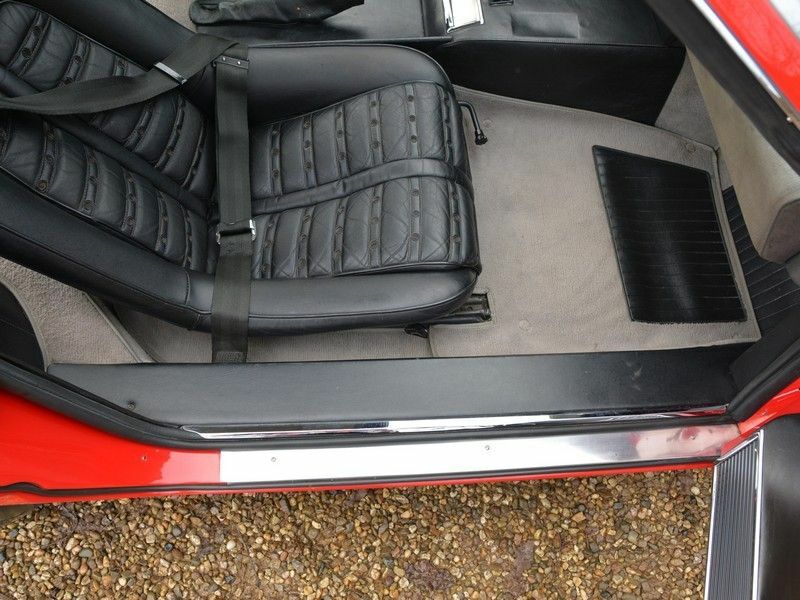 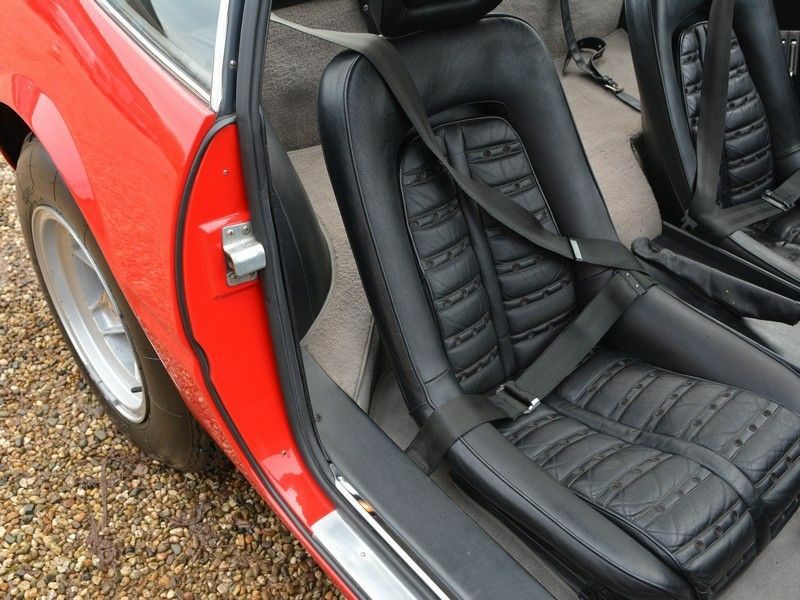 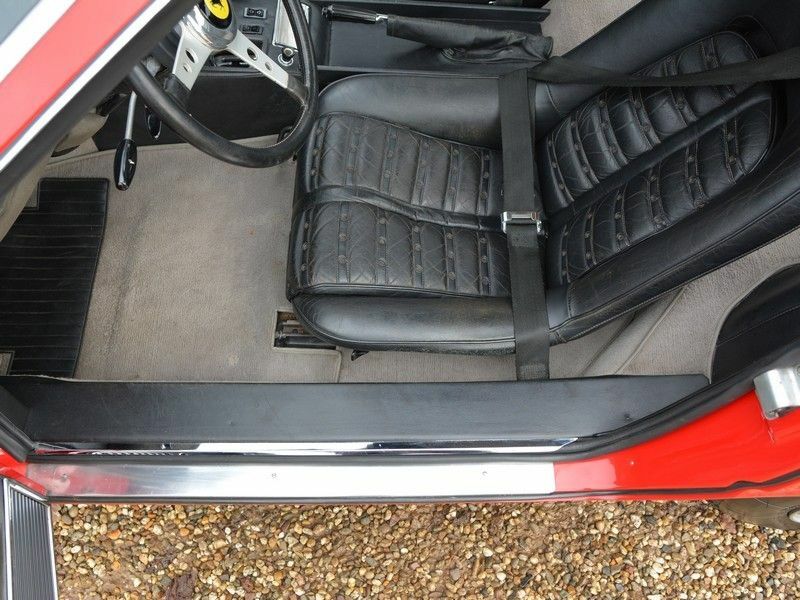 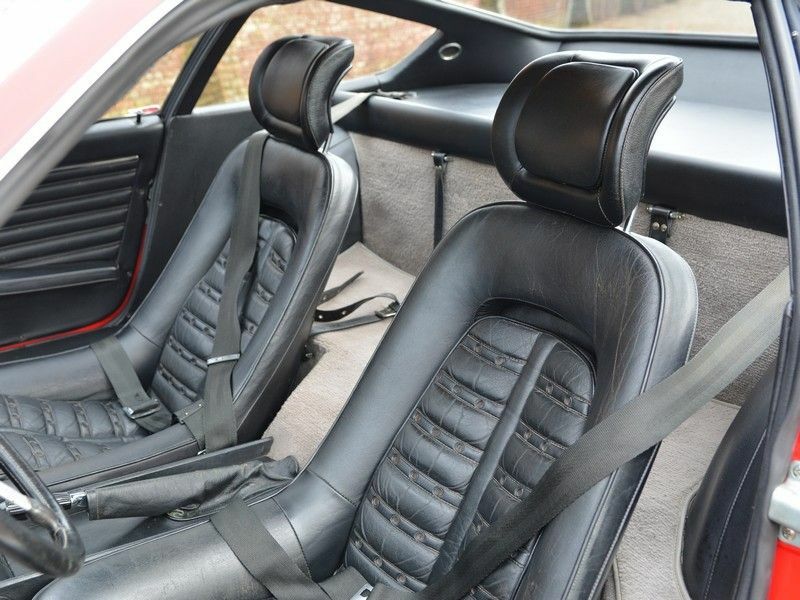 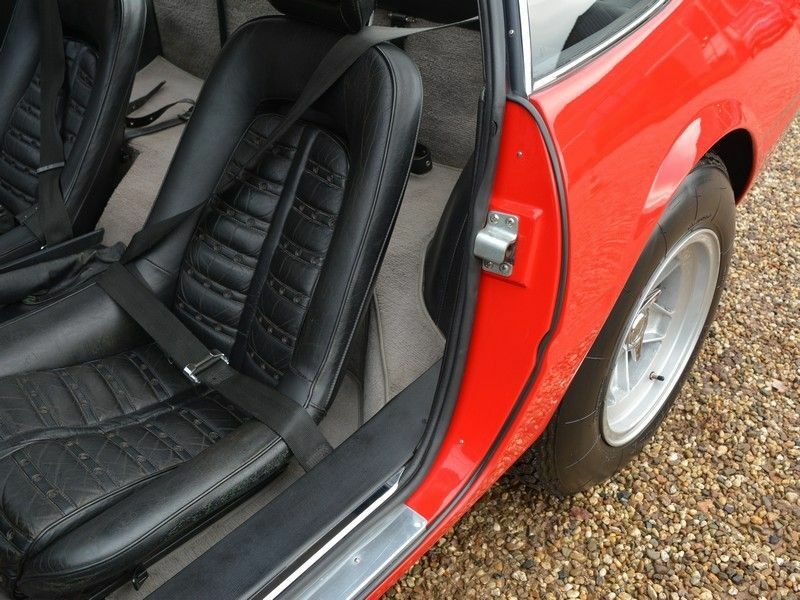 Finished in her original colour scheme of 'Rosso Corsa' with Nero leather trim. 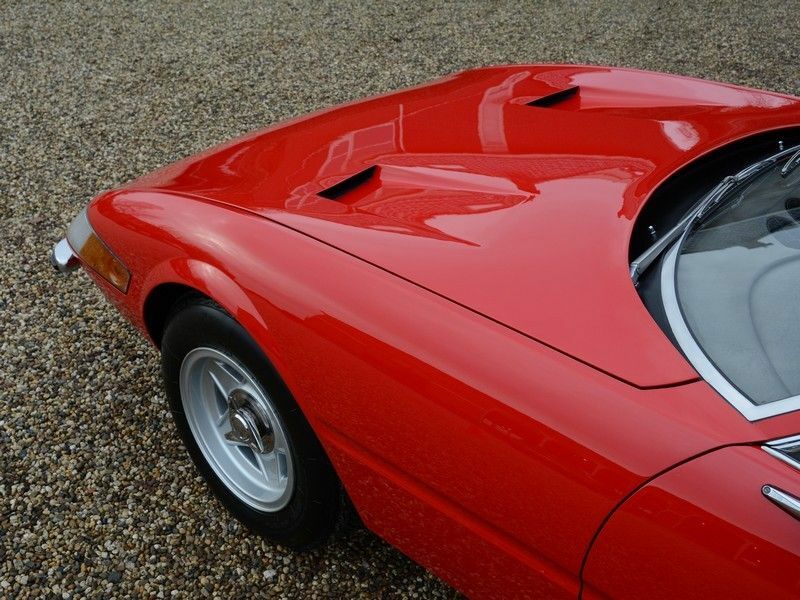 It has exquisite bodywork with lovely straight and correct fitting panels. 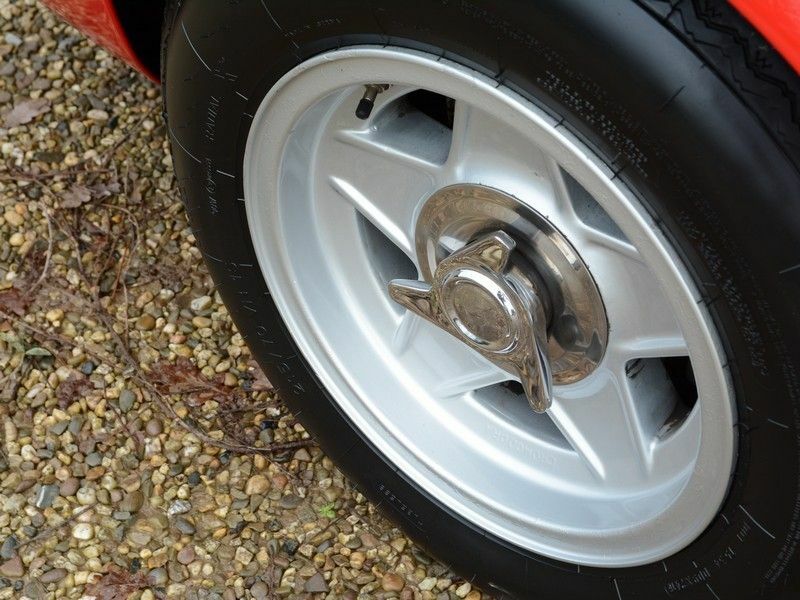 All chrome details are perfect. 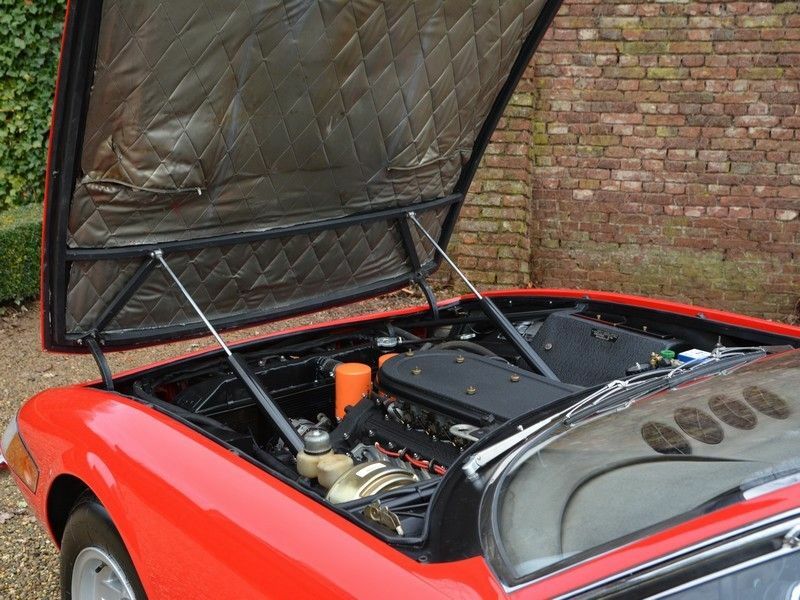 The underbody is entirely sound and rust-free. 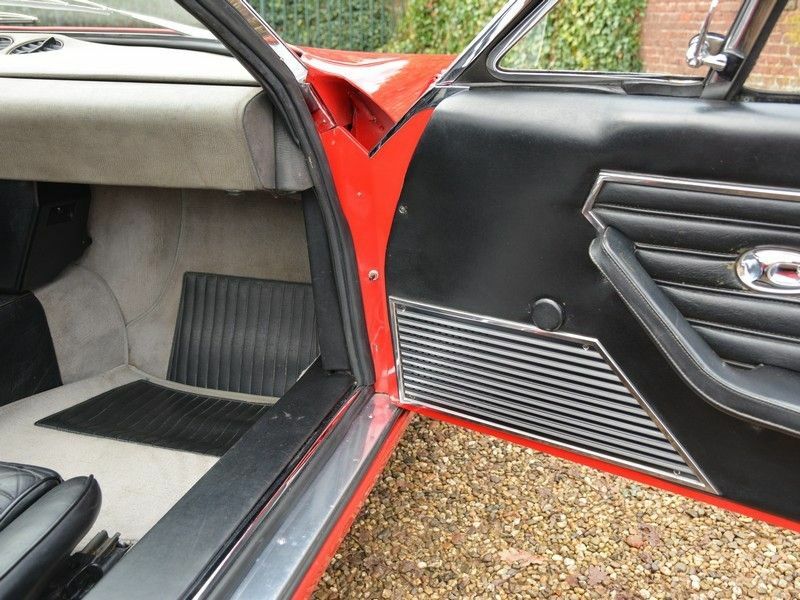 The completely authentic interior has a wonderful patina. 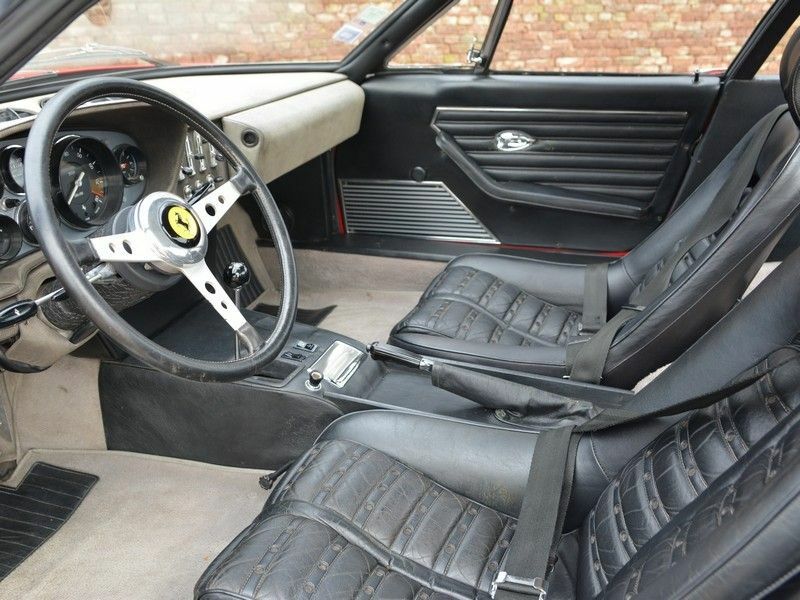 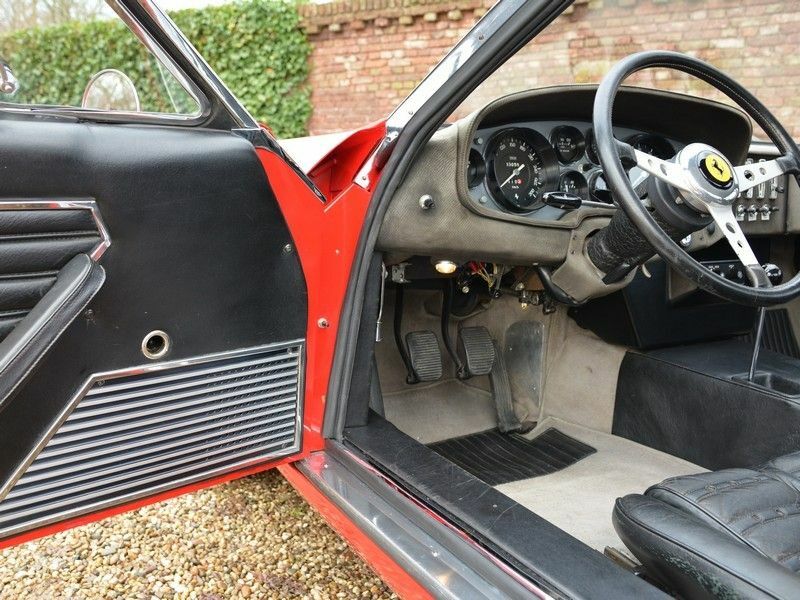 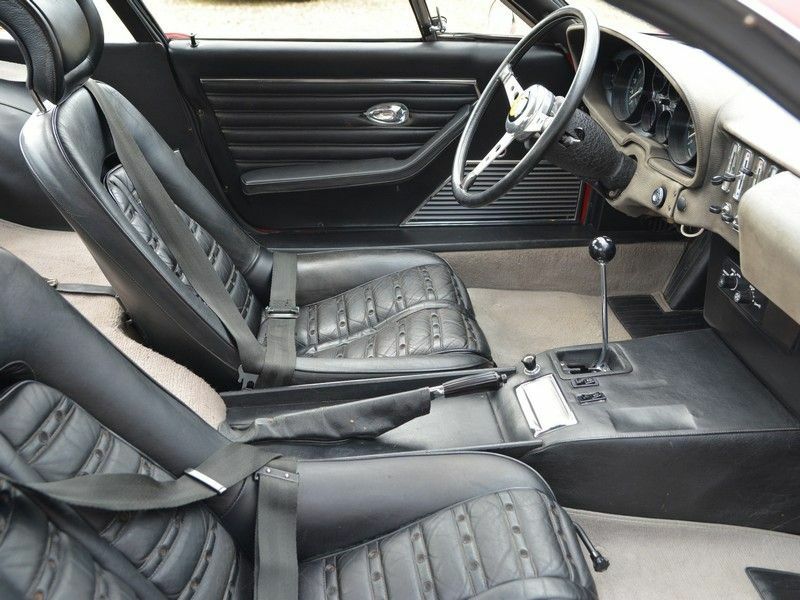 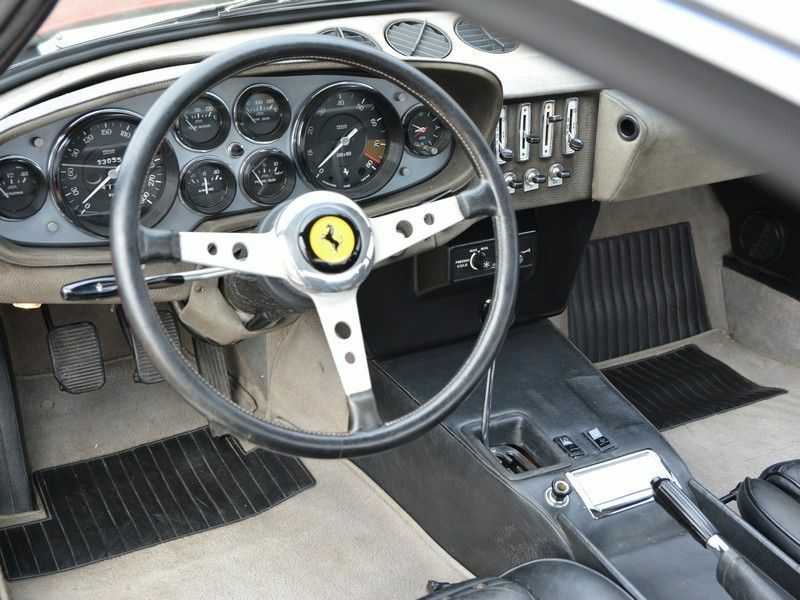 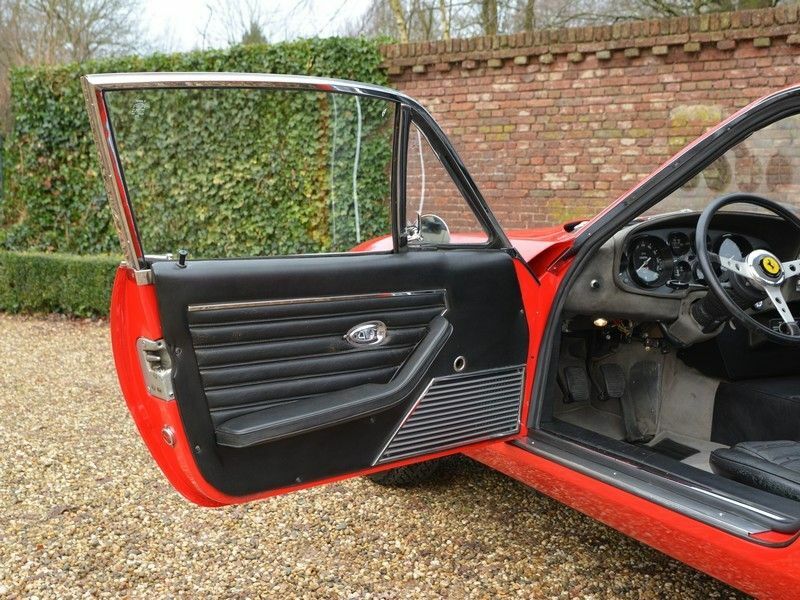 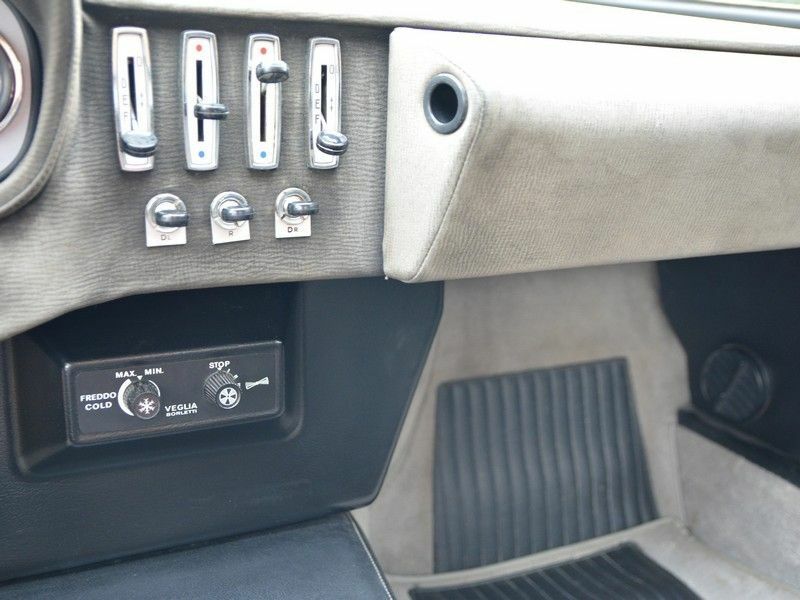 Quite rare are the original carpets and dashboard. 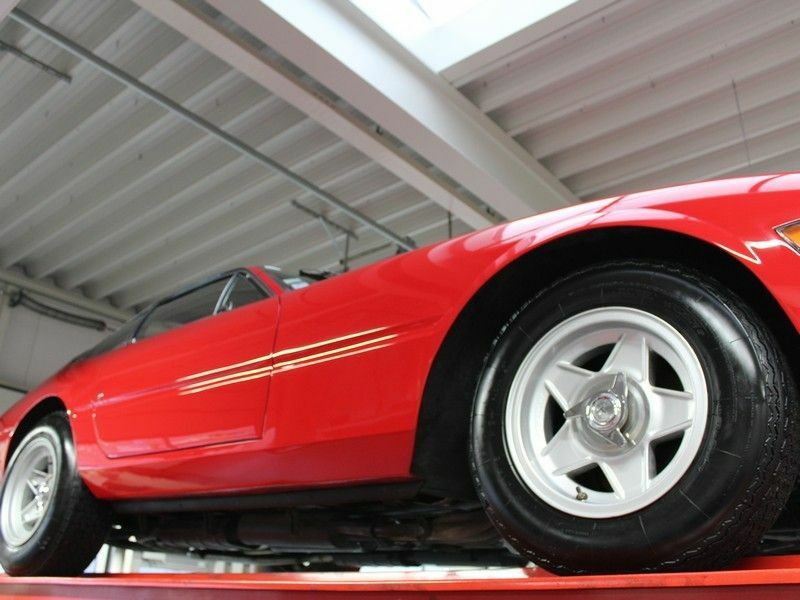 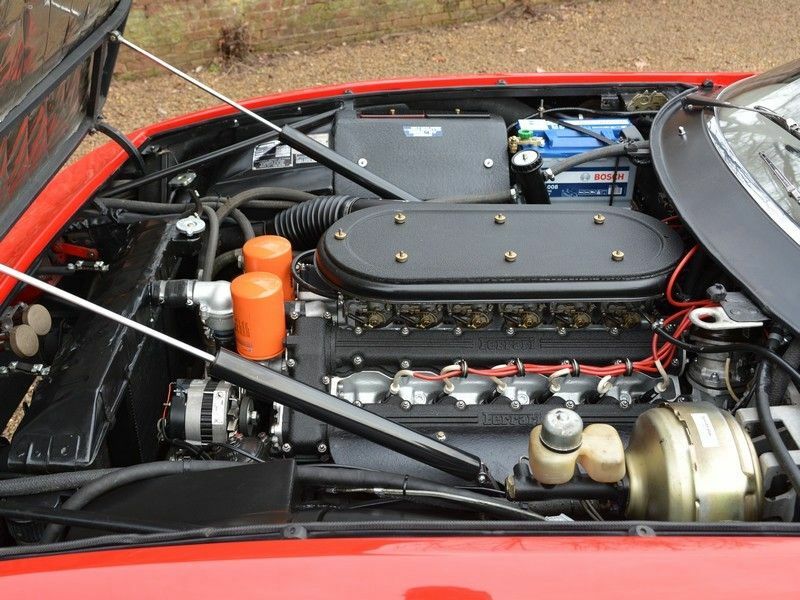 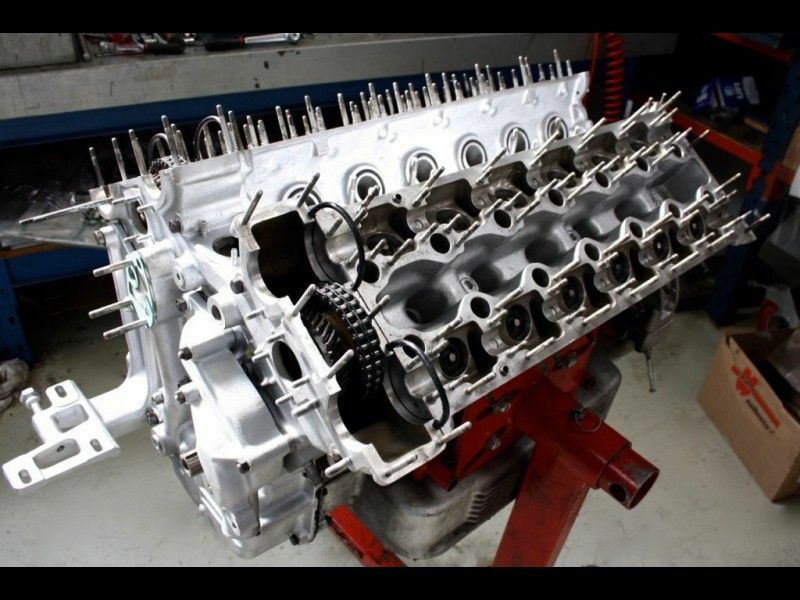 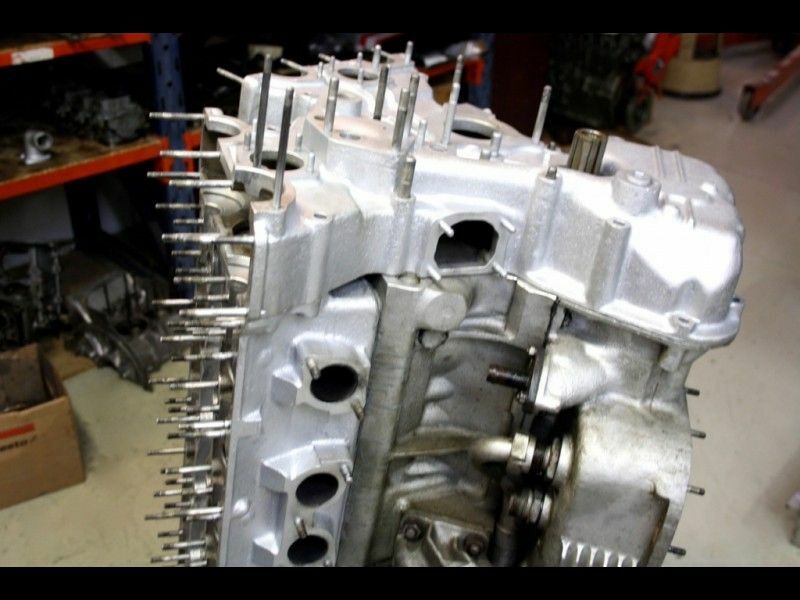 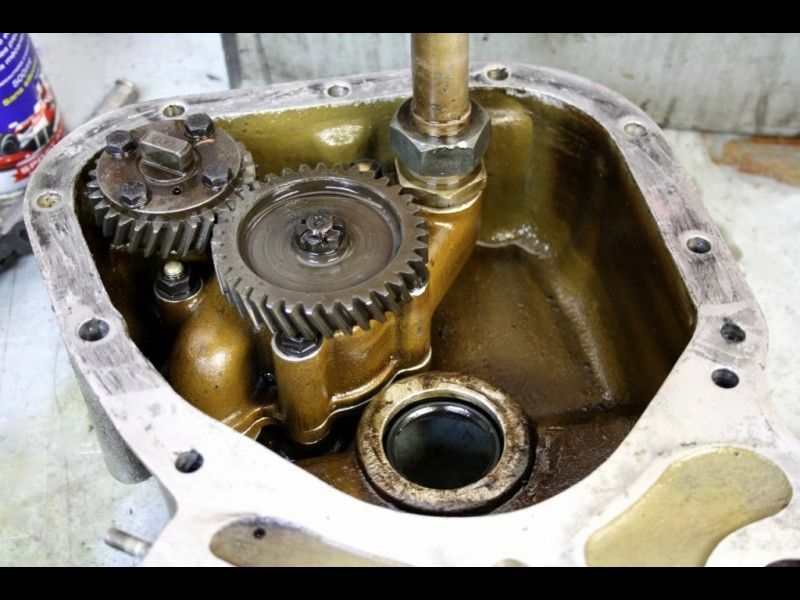 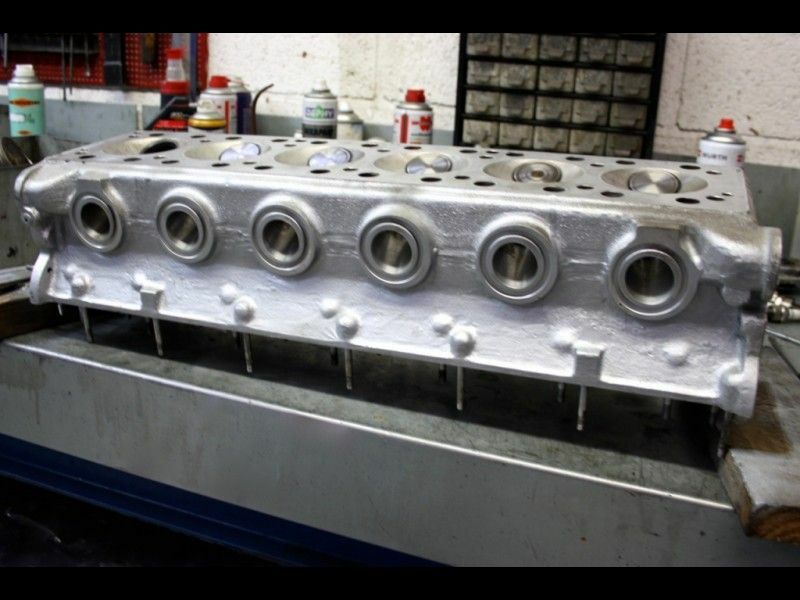 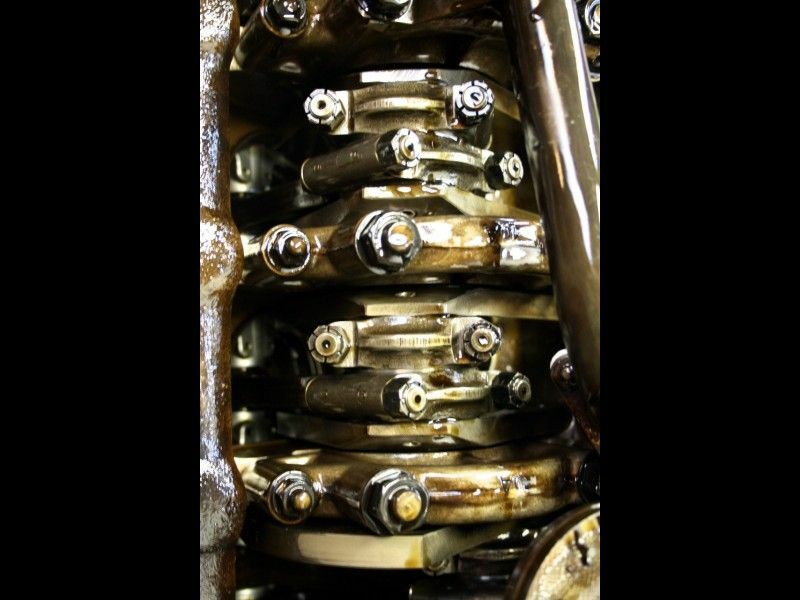 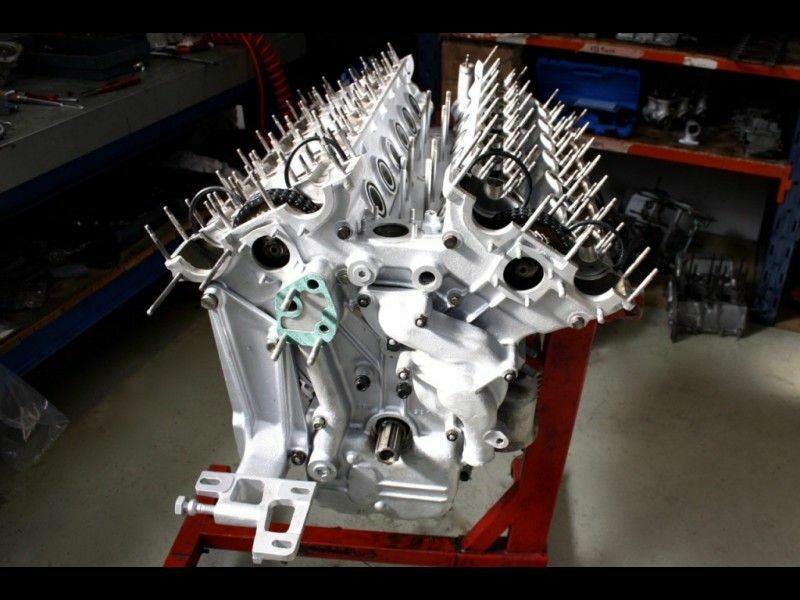 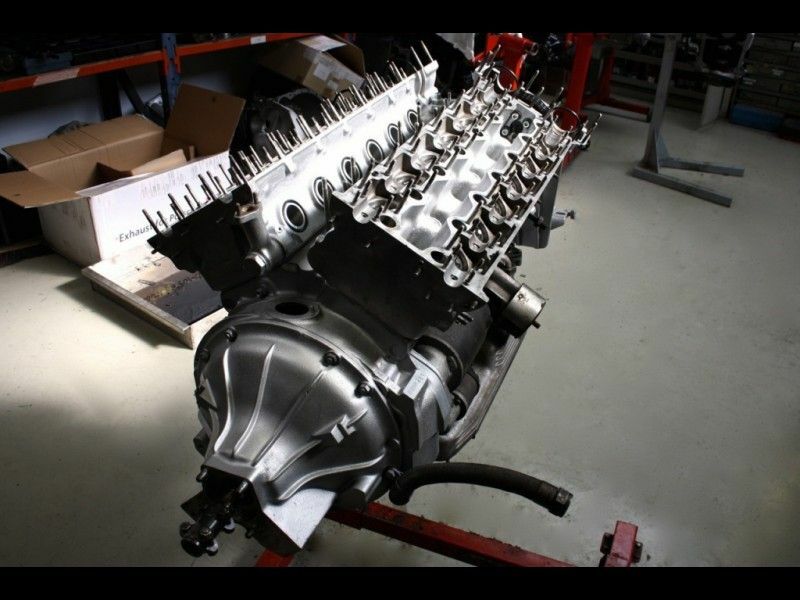 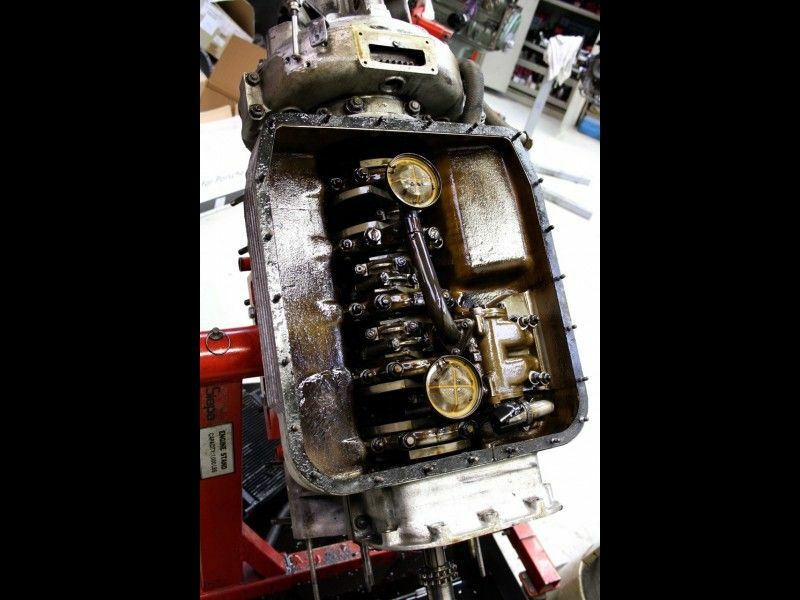 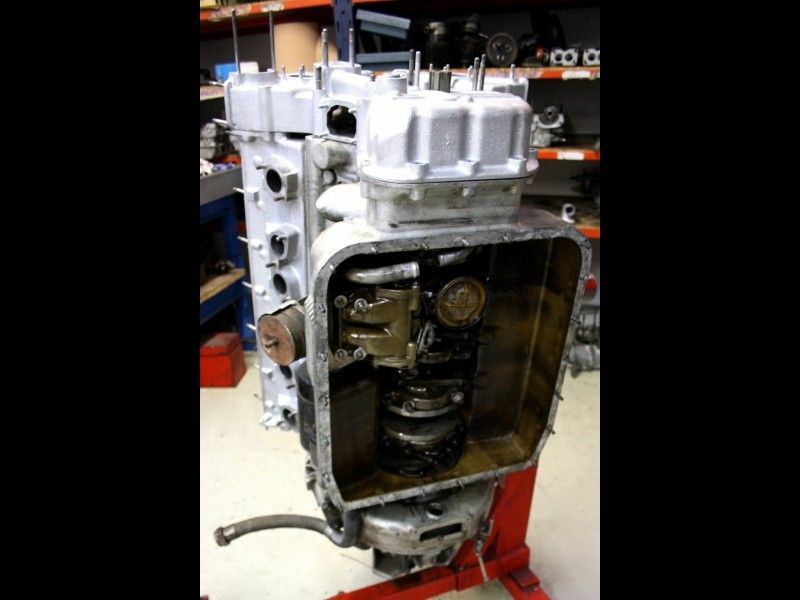 Mechanically flawless, it has driven 5.000 km since a major engine overhaul, including fitting a new clutch.. 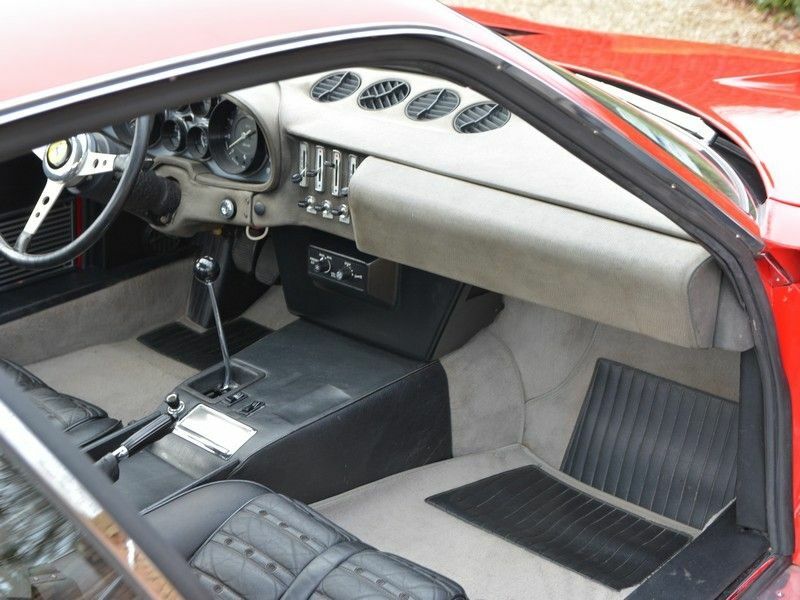 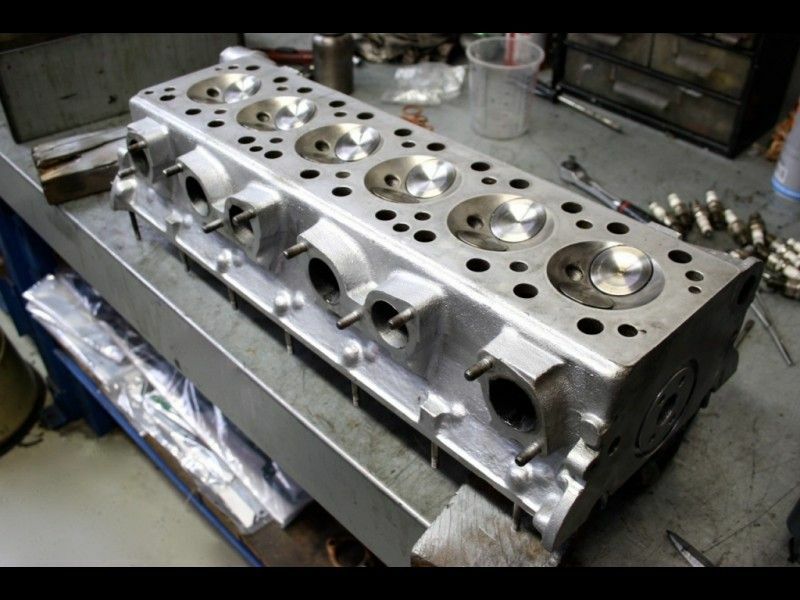 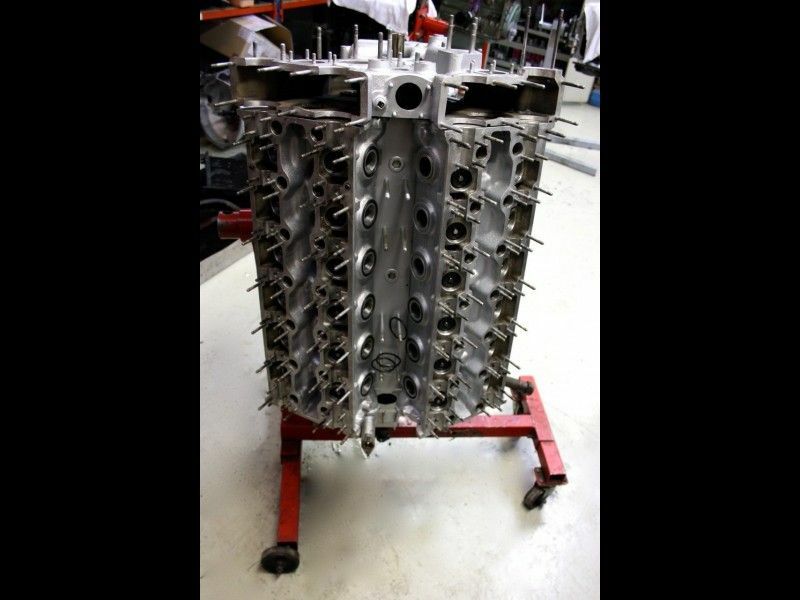 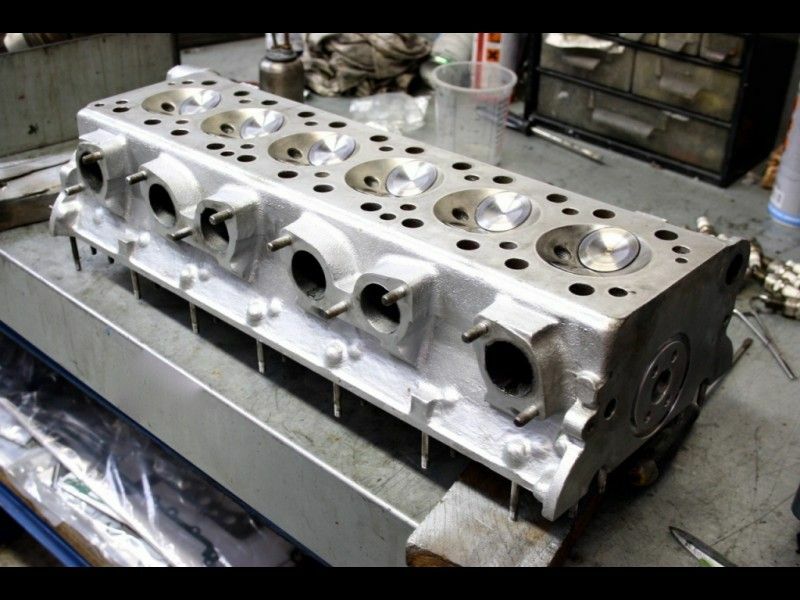 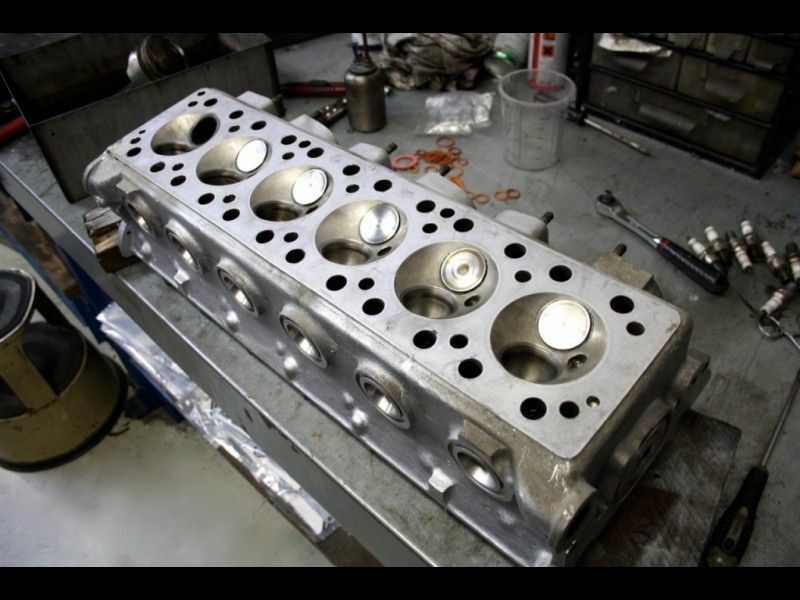 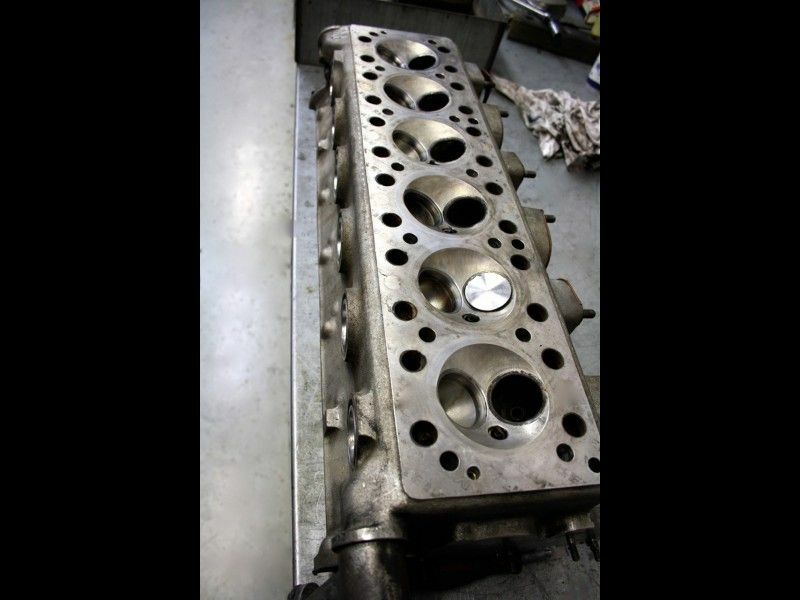 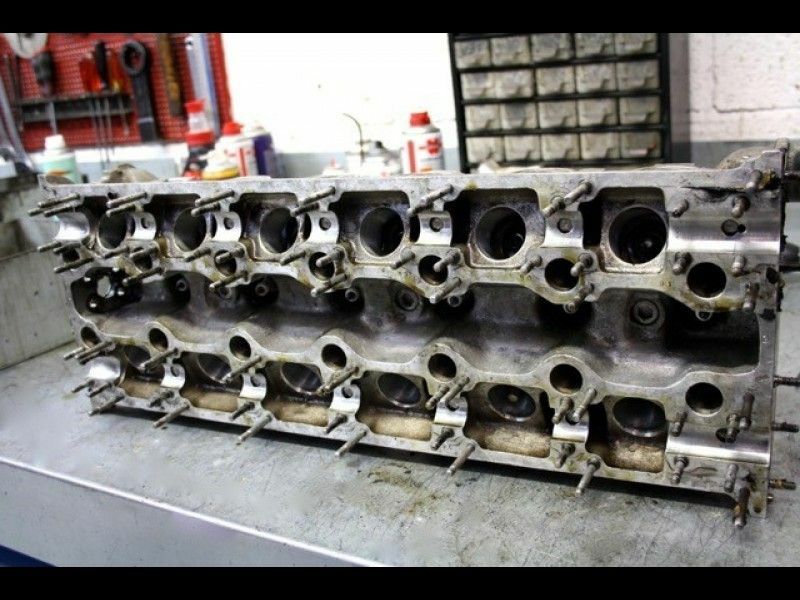 The extensive revision has photographic documentation and accompanying invoices. 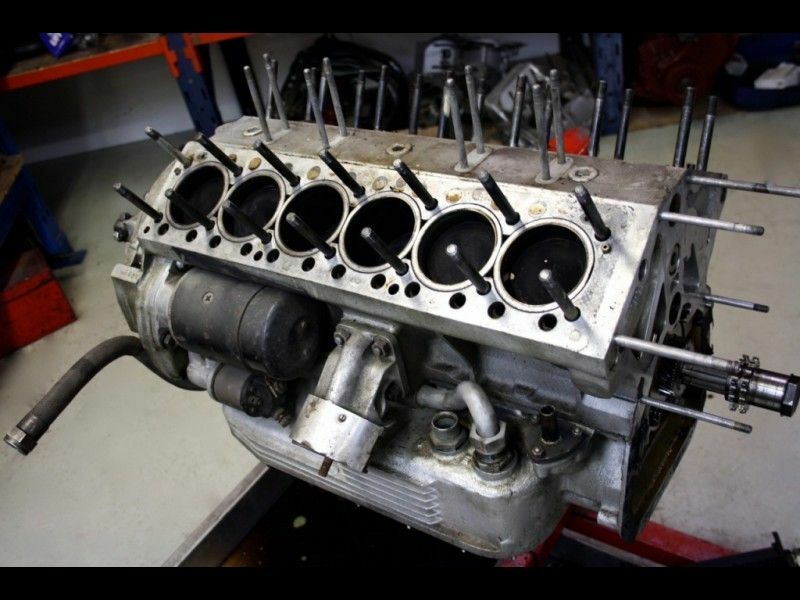 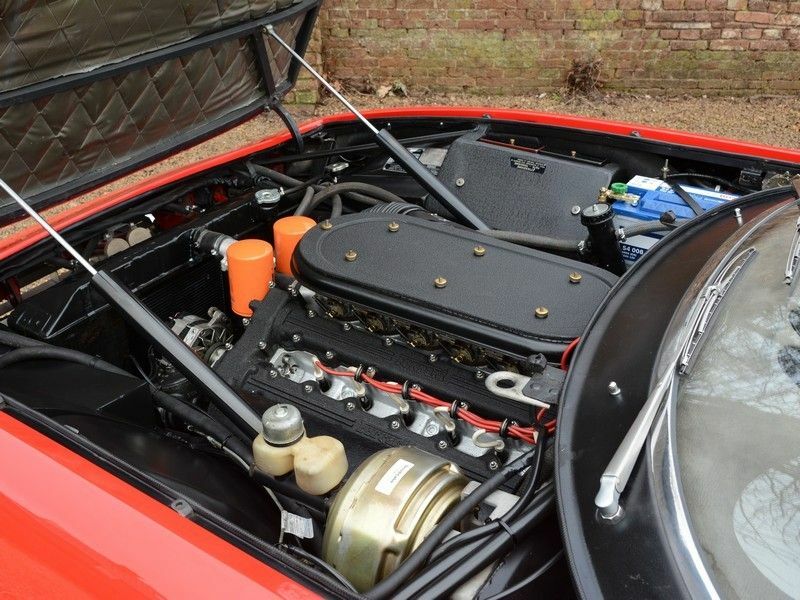 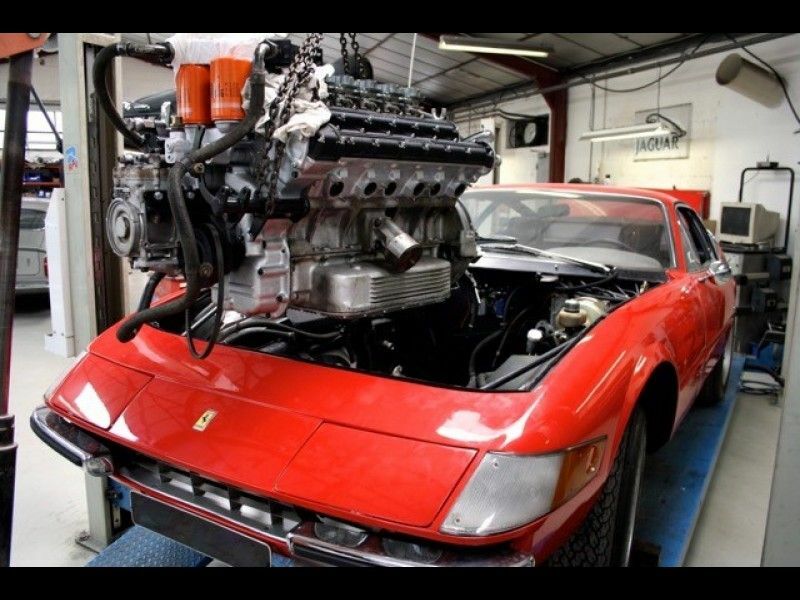 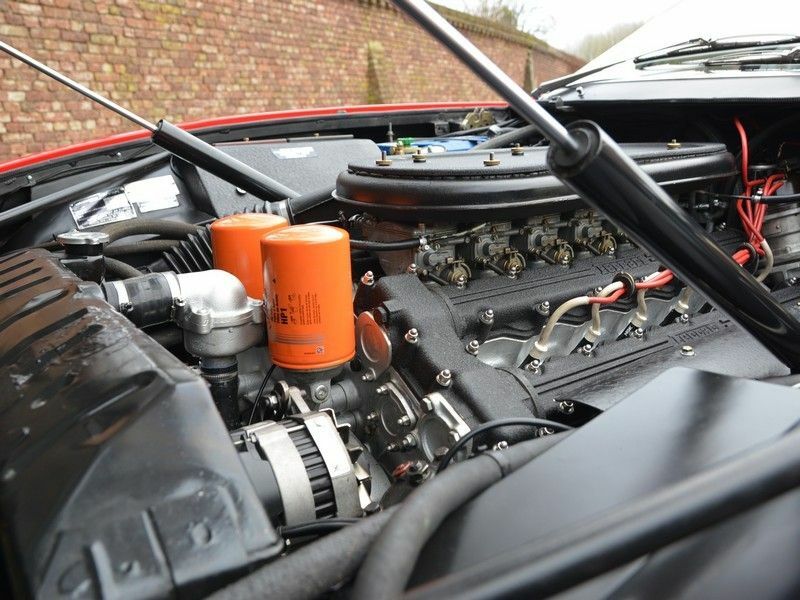 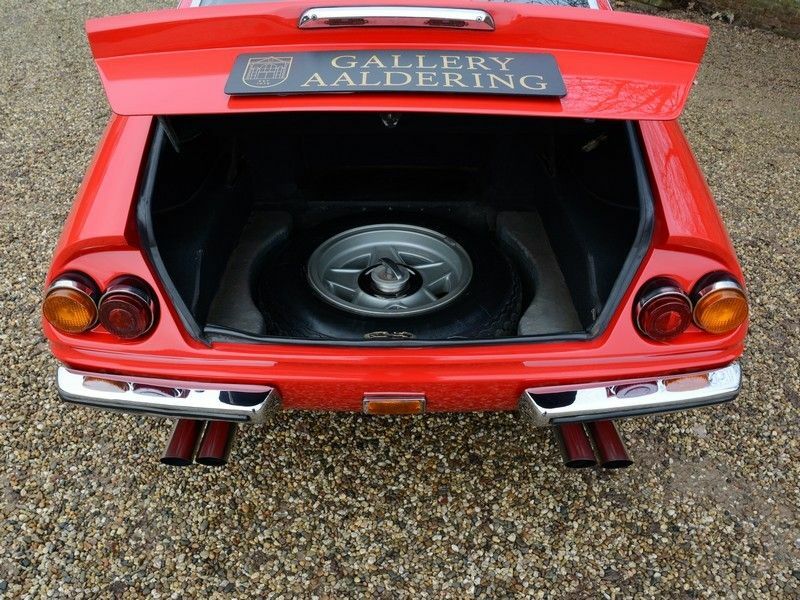 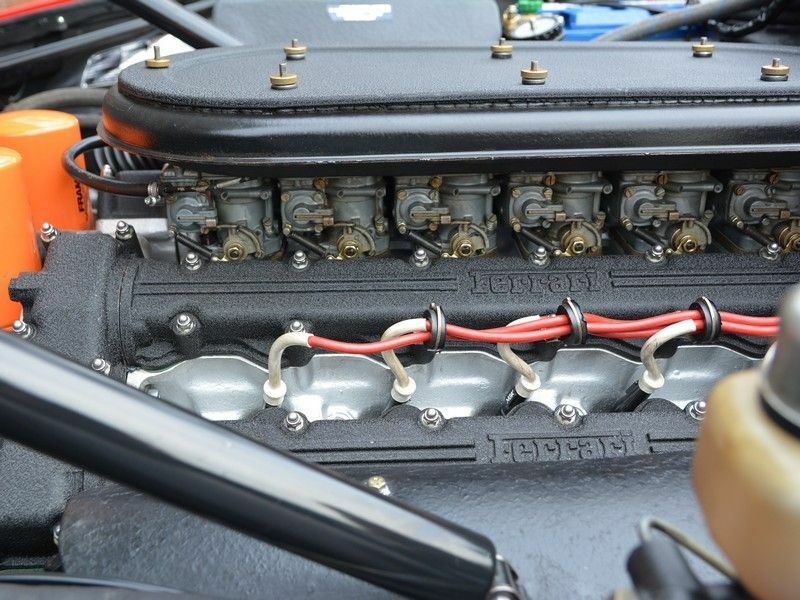 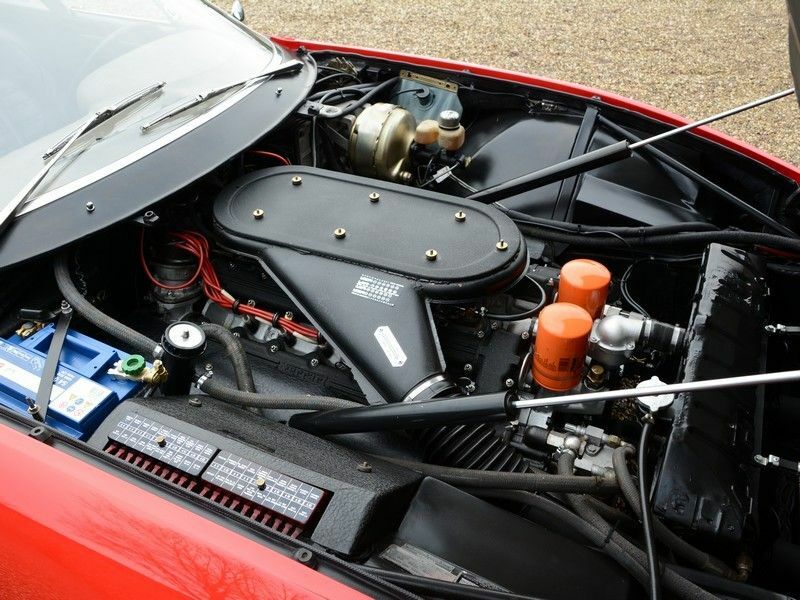 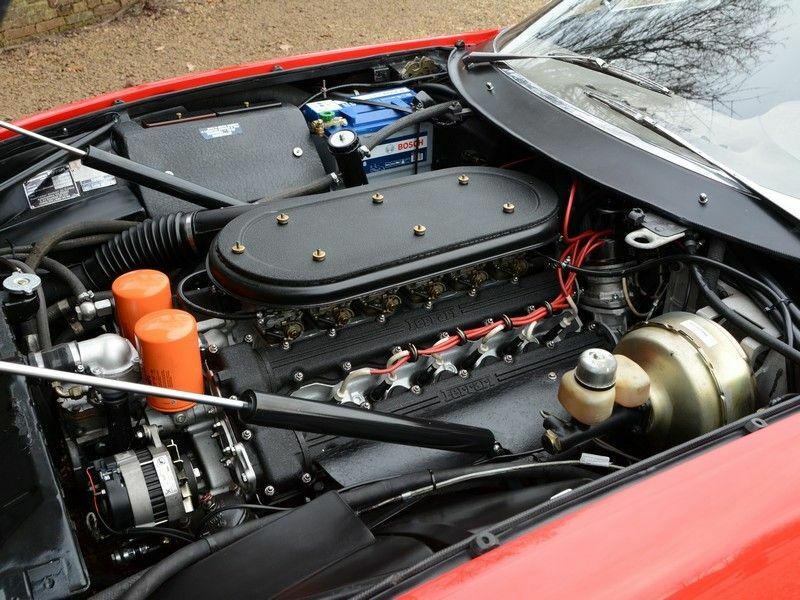 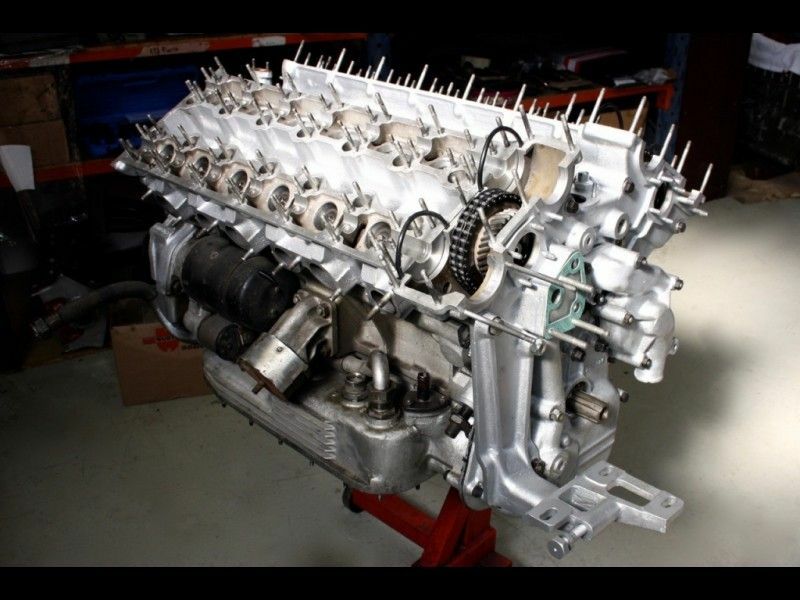 The 4.4-litre large V12 engine with 6 double Webers sounds absolutely sensational. 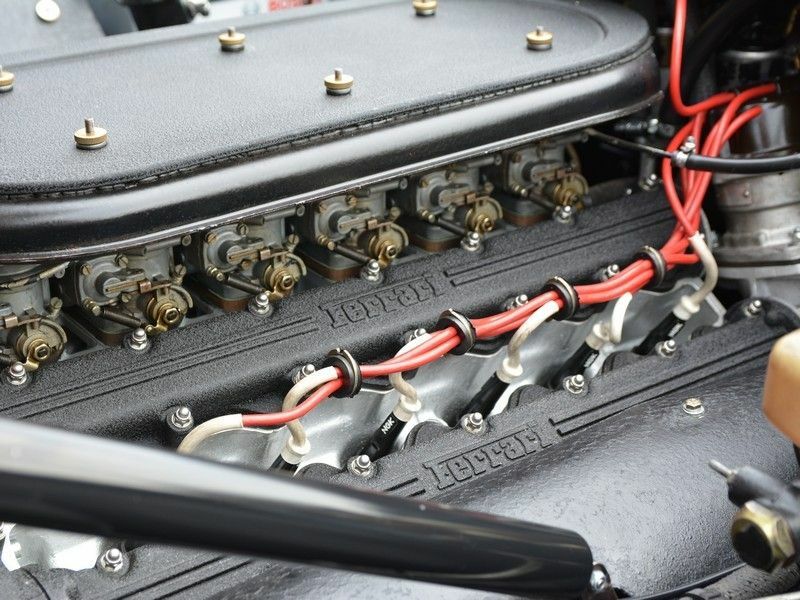 The car has her original matching numbers engine. 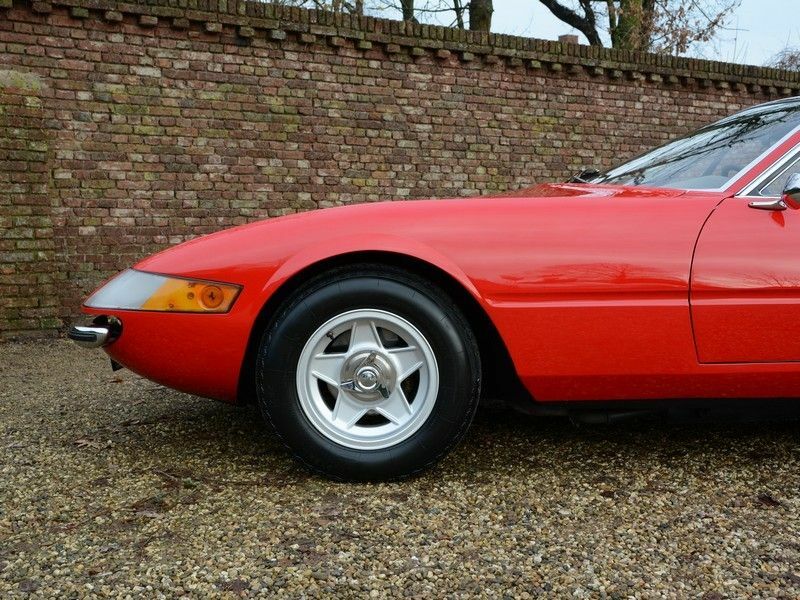 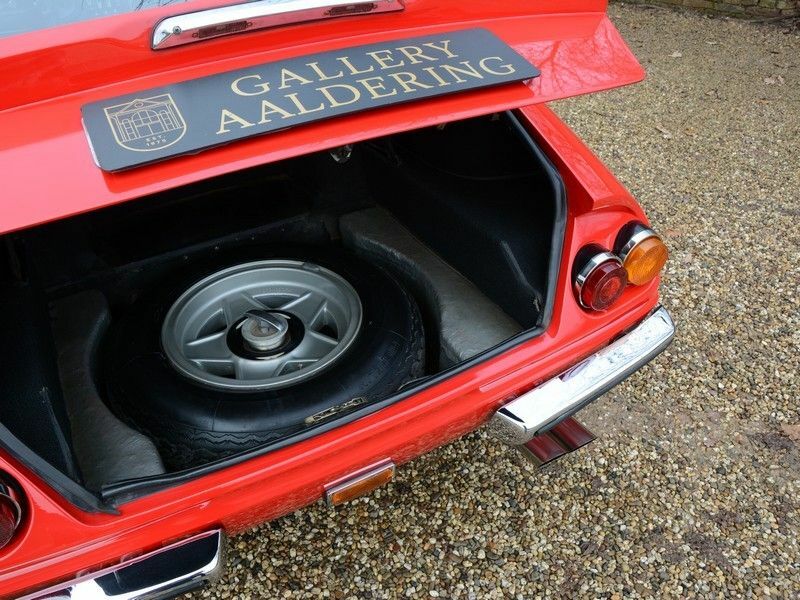 So all in all this authentic European Daytona is more than ready for some serious fun!